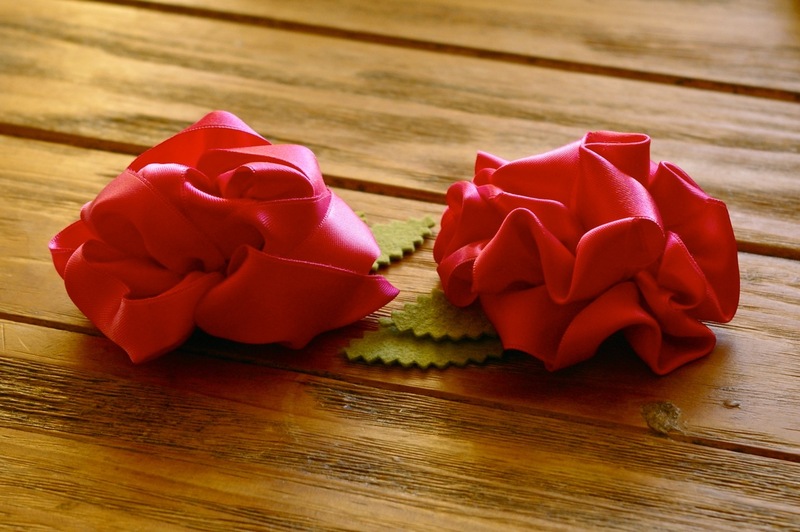 fabric flowers – Deerey Me! Last night was wild – and not in a good way! 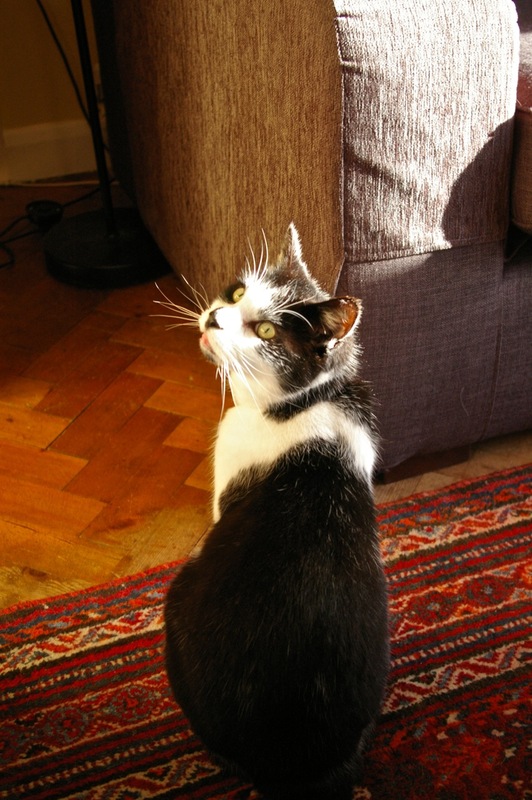 The noise of the wind and the feeling that the house was shaking was somewhat unnerving and watching the updates on the Dorset coast (where we have a tiny wee holiday flat) was downright scary. We have friends who live there permanently and I hope they are ok as I see many people were evacuated and spent the night in a local pub or in a school. 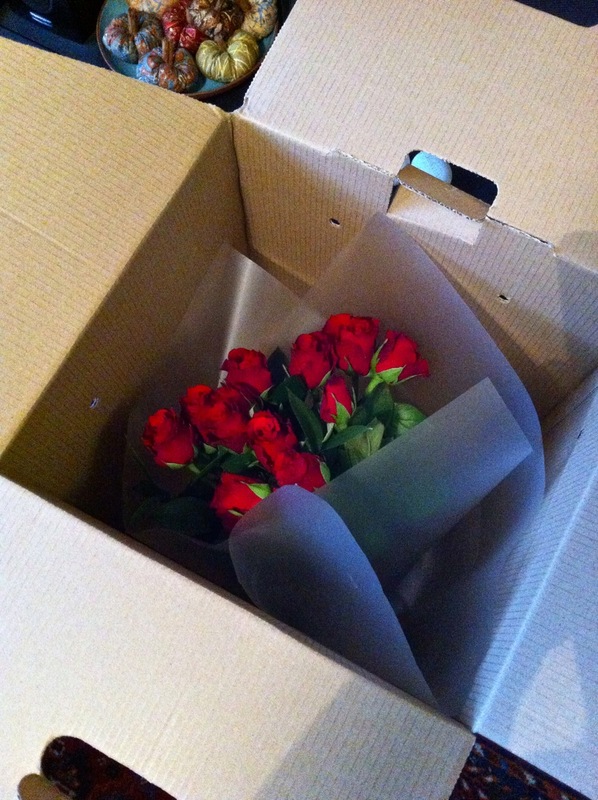 If the flat flooded, it’s just things, but people are far more precious. 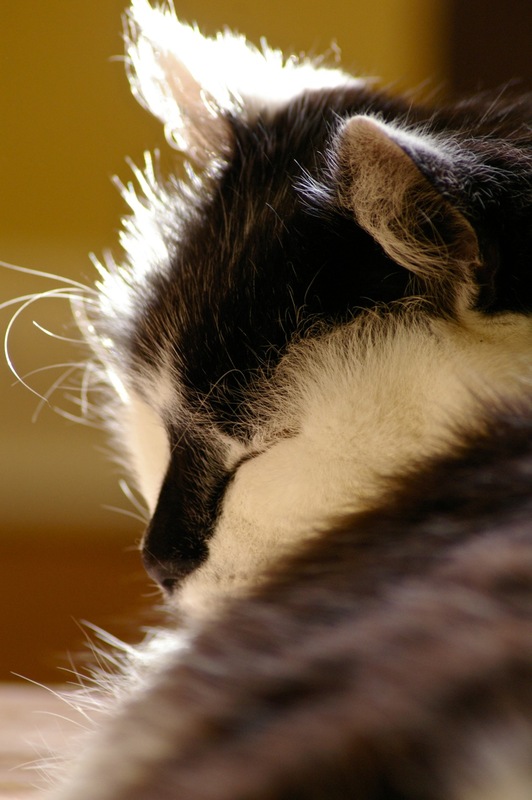 It has been one storm after enough, each stronger and more damaging than the one before. I heard on the radio this morning that 41,000 properties are without power this morning. 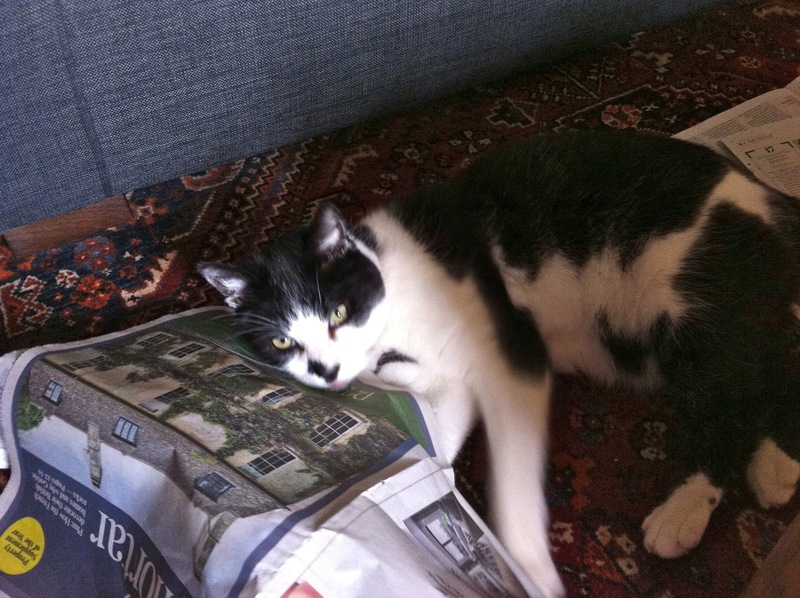 Watching it from our safe, dry house in Bath it feels apocalyptic, so how must it feel when the waves are crashing over your home or your farm is is two or three metres under water or even in the middle of London buildings are collapsing in the path of the storm? 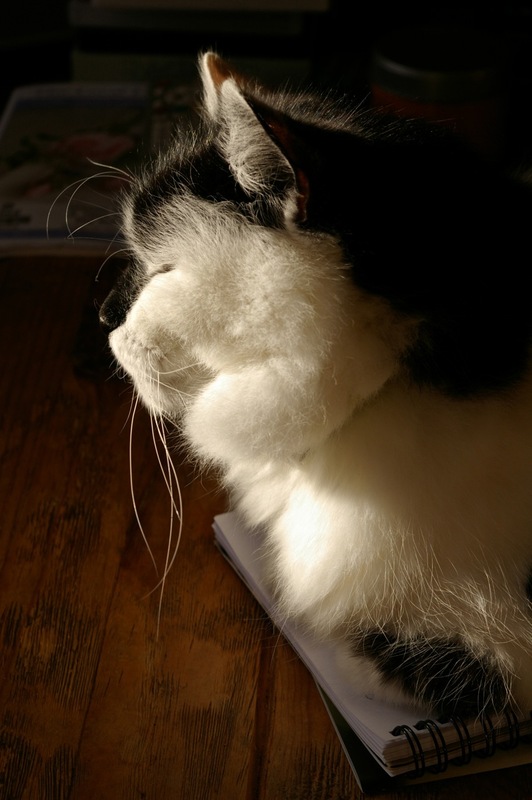 It is still windy, but the sun is shining and the worst of the latest storm is over. It feels as though the whole country is praying for calm and sunshine and Spring. 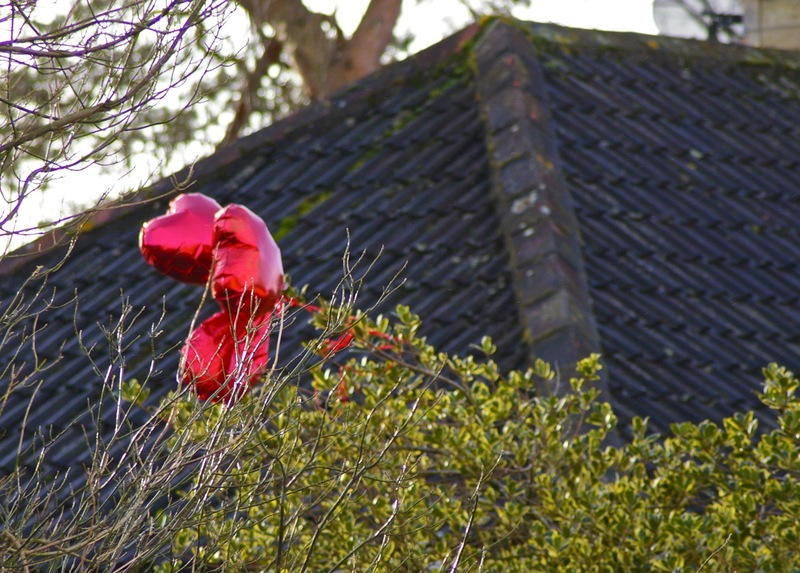 This morning I opened the living room curtains to evidence of a stormy Valentine’s day…I wonder who attempted to charm their loved one and was beaten by the wind? 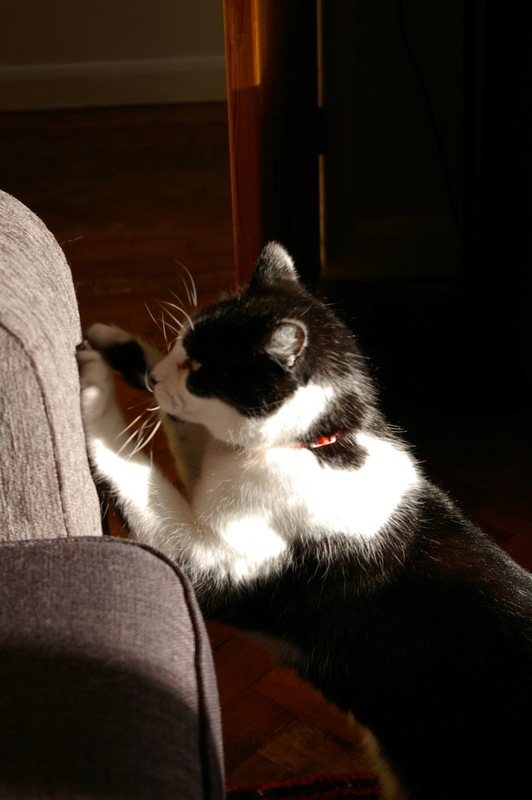 I know this post is supposed to be of mice and men and cats, but I want to reverse the order and start with the cats. 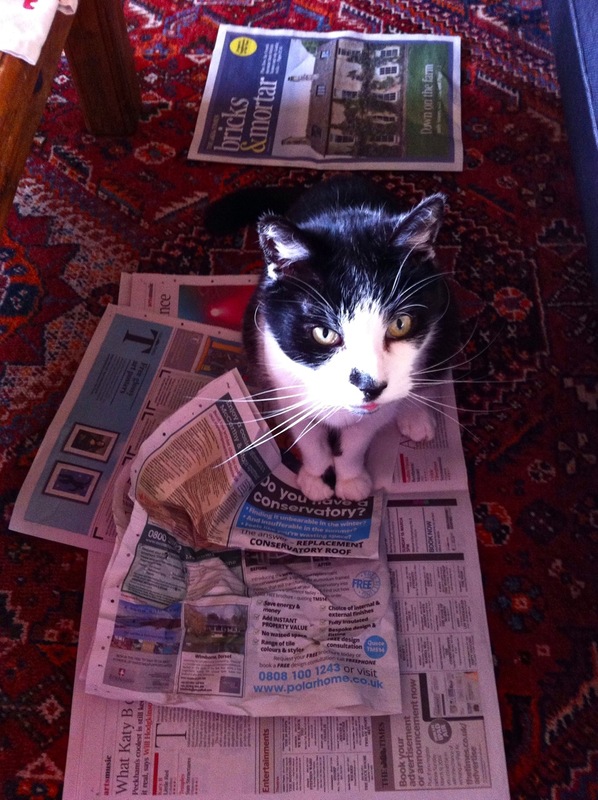 …and when I made him stop, he decided to read the paper, and really got in to it! 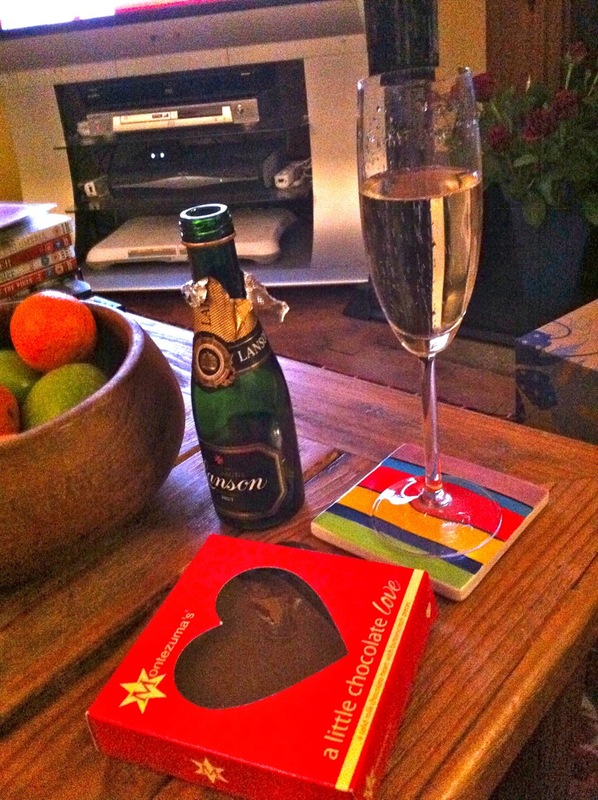 Yesterday was Valentine’s day. Mark and I don’t tend to do a lot to mark the day, but had intended to go out for lunch yesterday as Mark had the day off. The weather was so awful, we decided to stay in and had a Chinese takeaway in the evening instead. 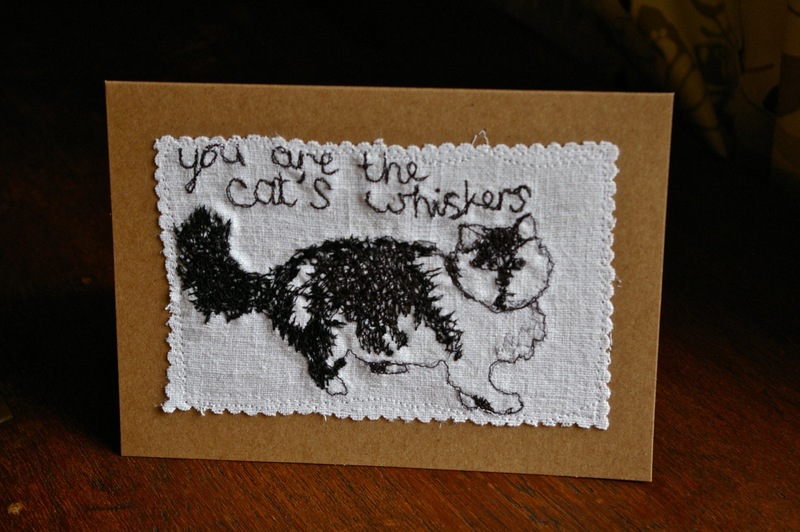 I made Mark a card…a free motion machine embroidery of Max the cat. 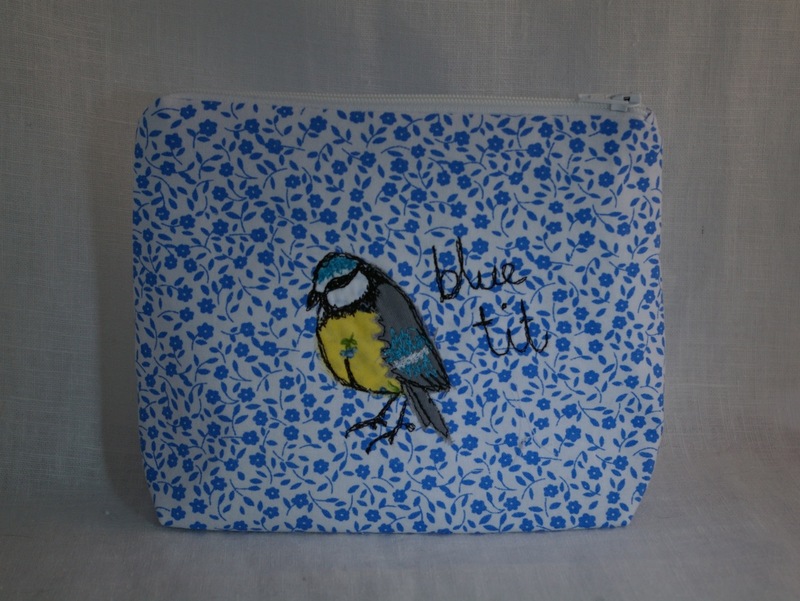 Quite proud of it actually; didn’t draw it on the fabric first, just sketched it in stitches. 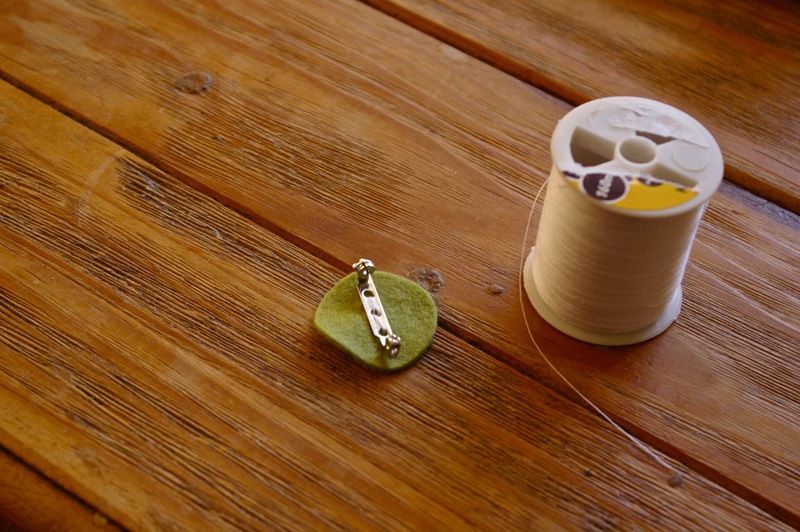 It is so much fun drawing in thread! 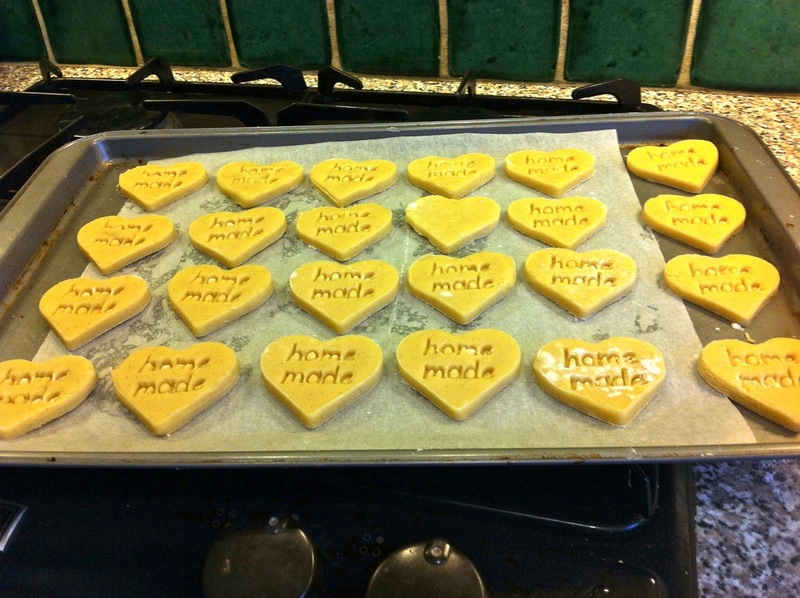 I also made some shortbread hearts and split them between Mark and our elderly next door neighbour…sharing the love (and the calories!). 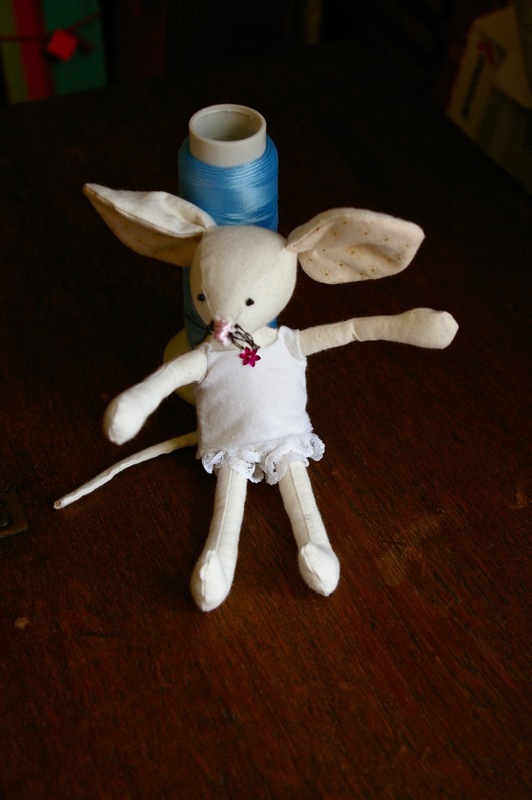 I keep an old style Ellen Mouse in my work room/dining room (not CE markable as has bead eyes and whiskers that will pull out under 7kg of tug) and I use her as a model for when I get requests for additional clothes for a re-homed Ellen Mouse. 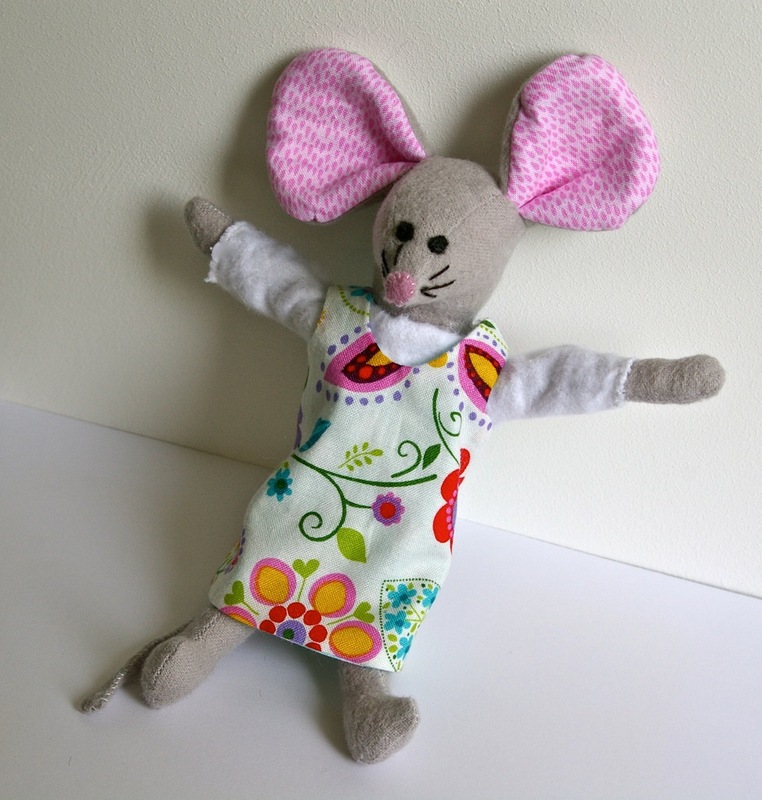 Until this week she has had to sit on my fabric shelves in nowt but her vest and frilly pants so I pinched a tiny bit of some trim I was given to make her a dress…reminds me of a 1970s Laura Ashley maxi dress. 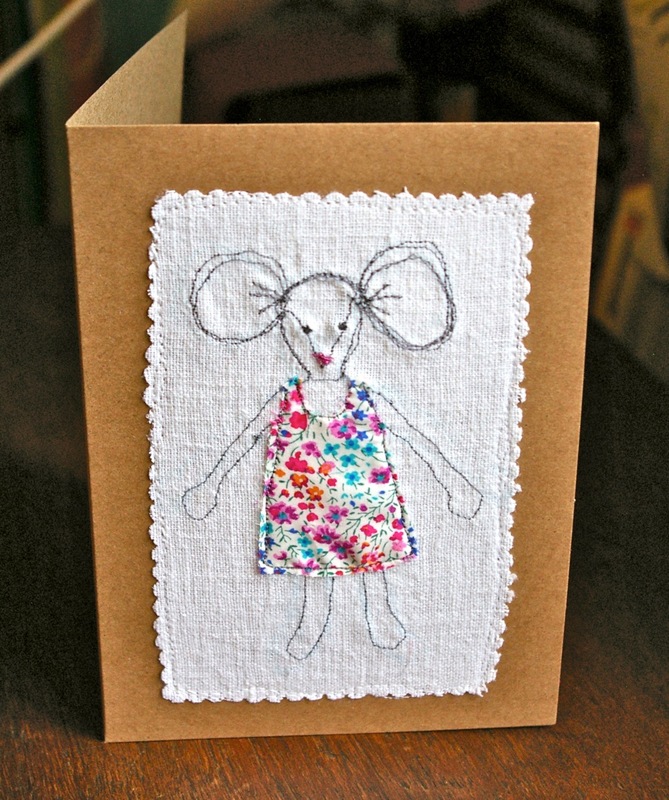 What’s more Ellen had nagged and nagged about extending her range…so now in my online shop Ellen Mouse cards and Ellen Mouse zip pouch bag! 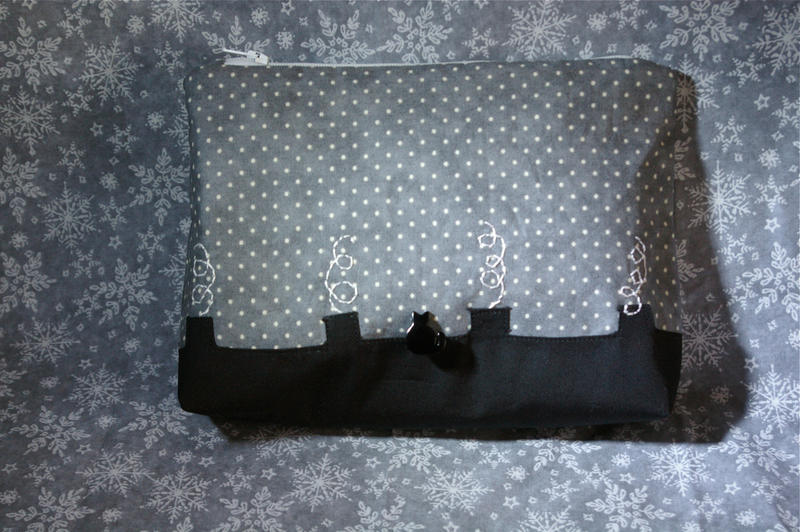 While in the mood for free-motion machine embroidery I made a couple more zip pouches, sketching first and then doing a bit of applique and embroidery: available in my shop. 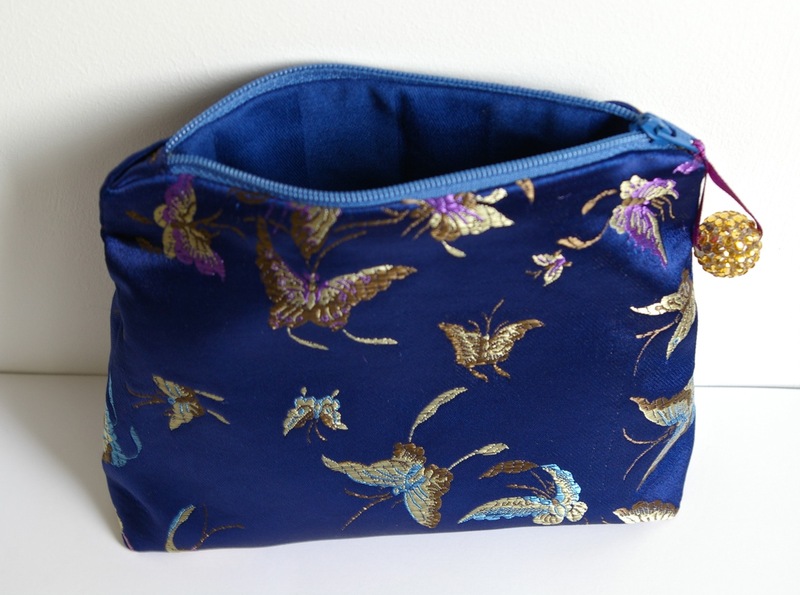 I also made a little zip coin purse/makeup bag – the fabric is just too pretty to need any embellishment! 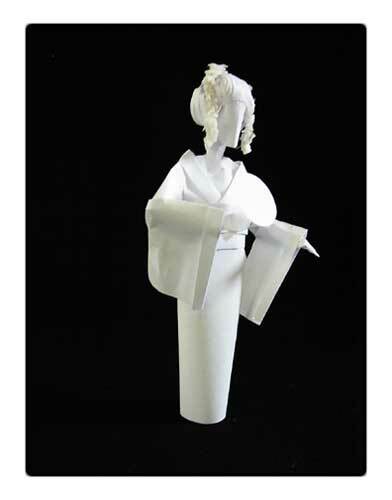 I am still experimenting with products to decide on my ‘niche’ and plan to make some paper sculptures in the coming week, to see how they go down with my customers. 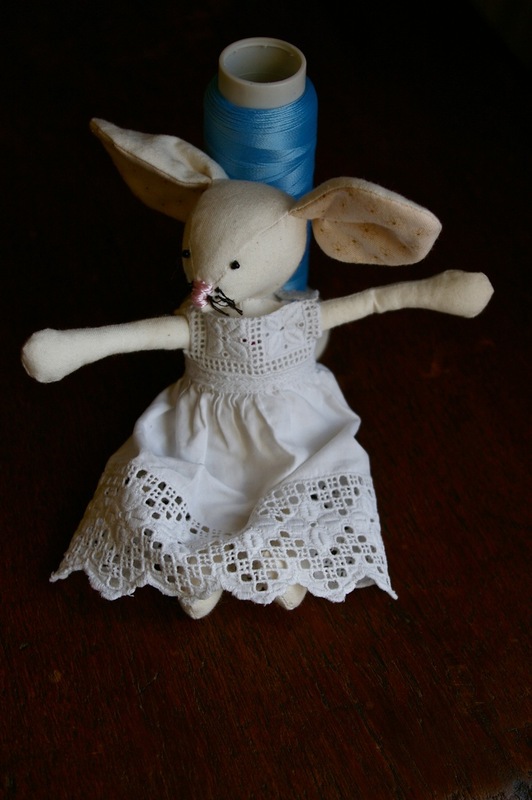 Here is one I made earlier (lots of years earlier). 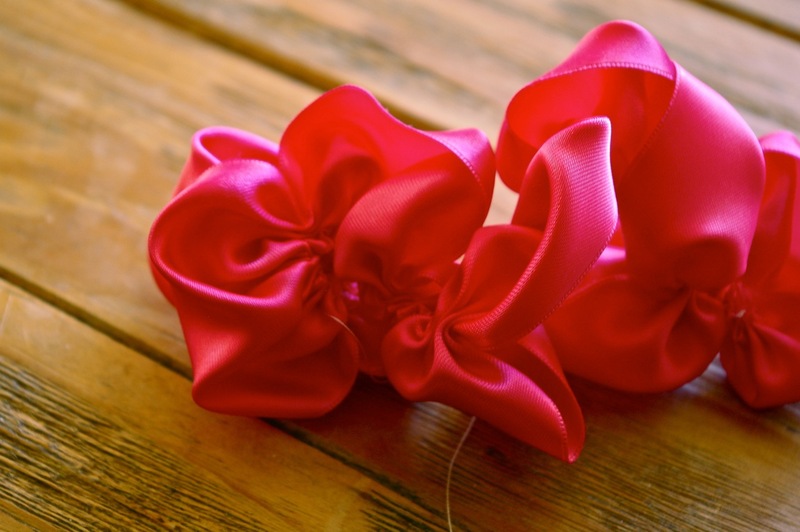 When I went to visit some textile students I promised a tutorial on a couple of ways of making ribbon flowers and thought I should share it here in case anyone else might find it useful. 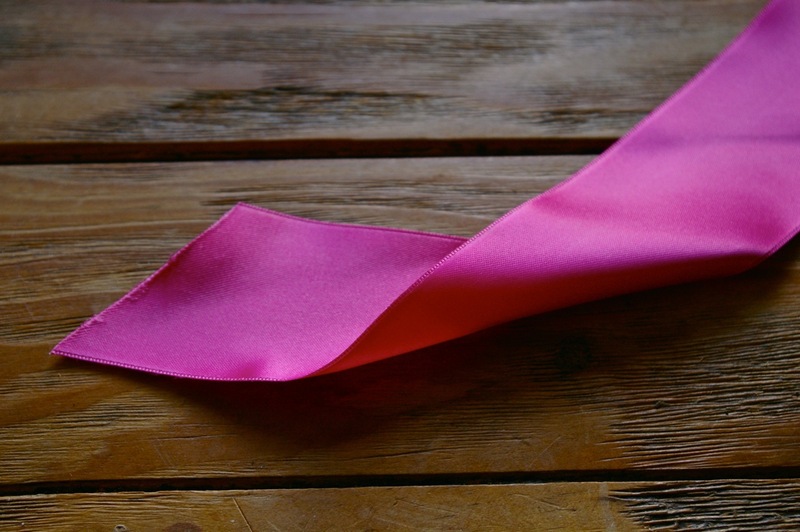 This uses either a 10cm wide 1m long strip of fabric with the long sides folded in so they meet in the middle (with the right side facing out), ironed but not sewn, or 1m of ribbon at least 5cm wide. 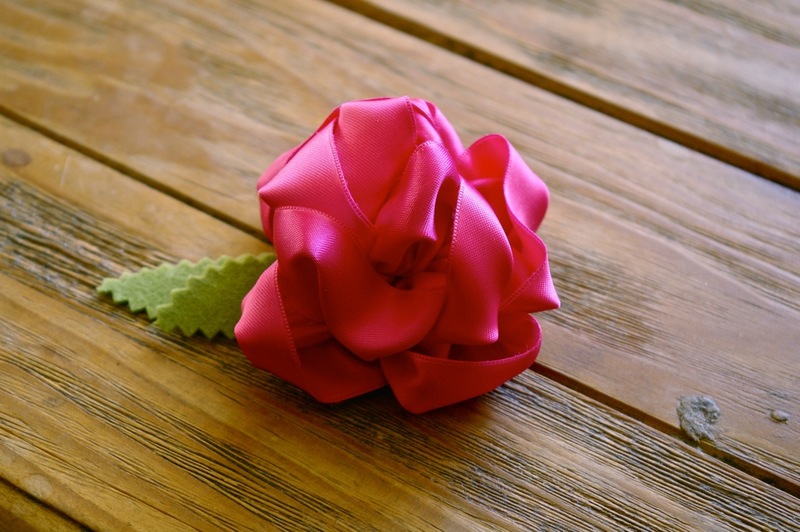 Here I have used a satin ribbon. 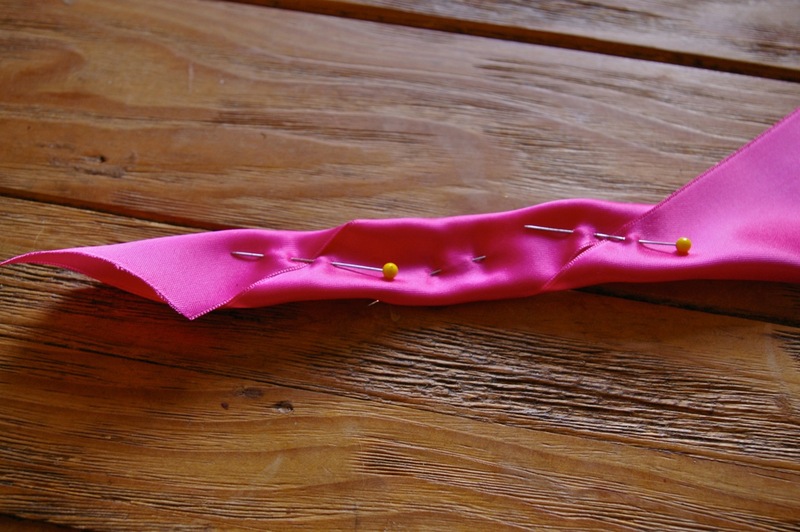 pin in place, turn the ribbon over and fold again so it lies against the first turn, and pin. 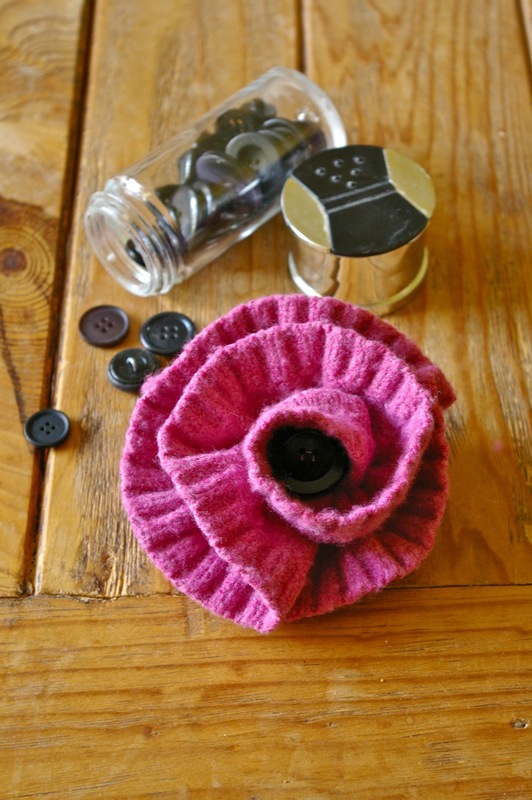 sew a brooch back to a circle of felt and sew the circle to the back of the flower, covering the gathering and stitches. 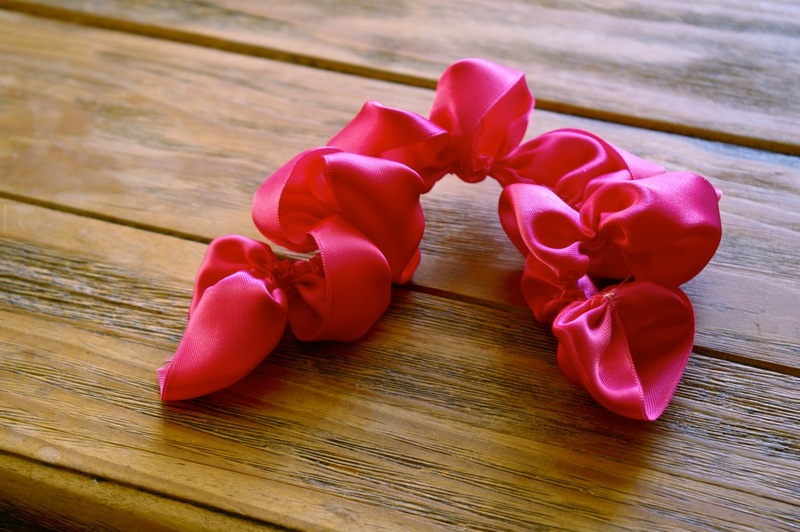 This method uses a strip of fabric folded and ironed as for method 1 or a piece of ribbon, but is less fiddly and can be made with any width of fabric or ribbon. 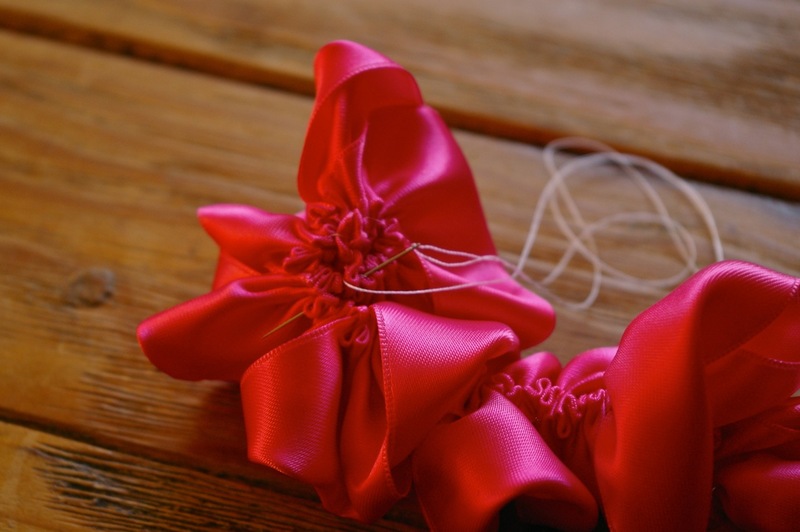 If you use a strip of fabric, ensure the raw edges face in to the centre of the flower as you make it. 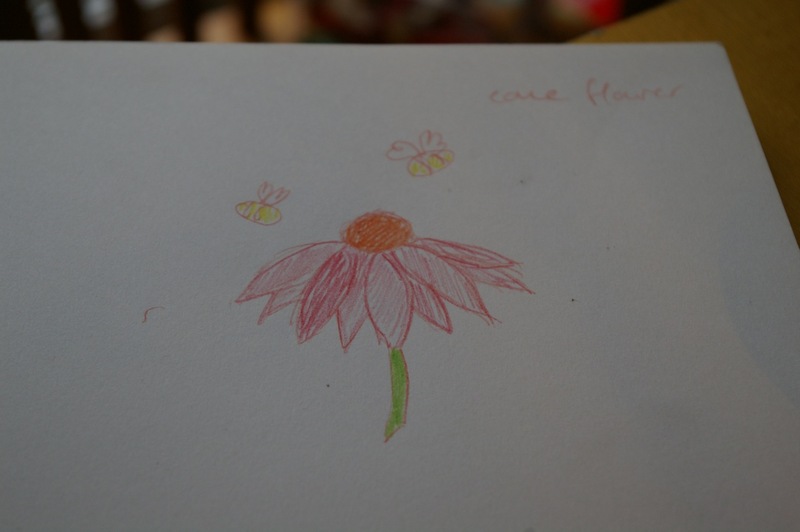 the resulting flower is a bit messy – but that’s ok! You can see the difference in the results of the two methods most clearly when they are side by side. 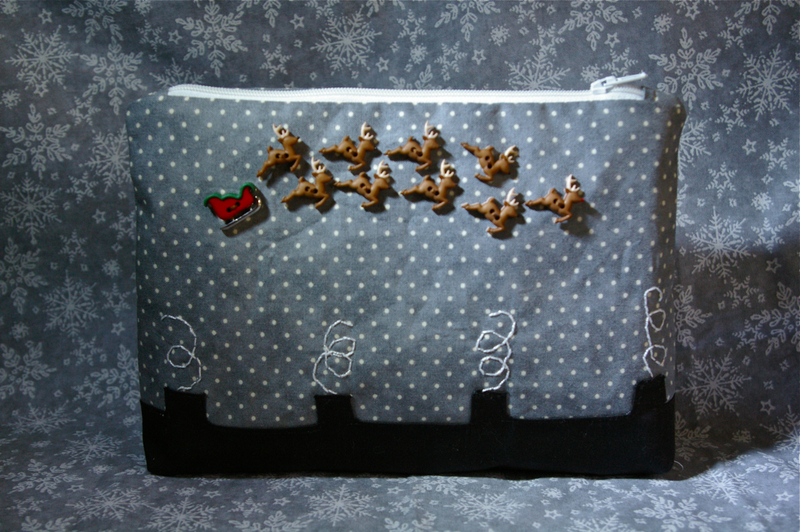 Santa Claus is coming to town…! 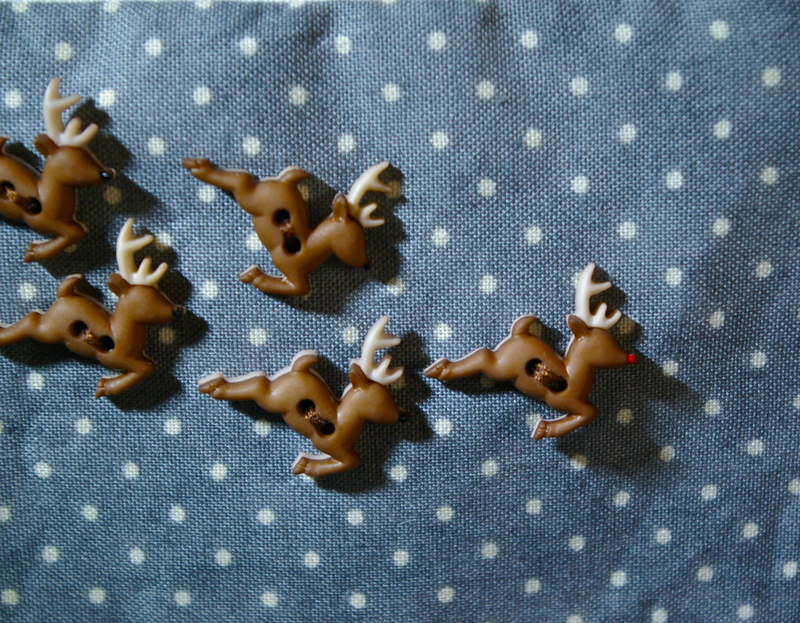 I have also been making good use of some of the Christmas buttons I found. 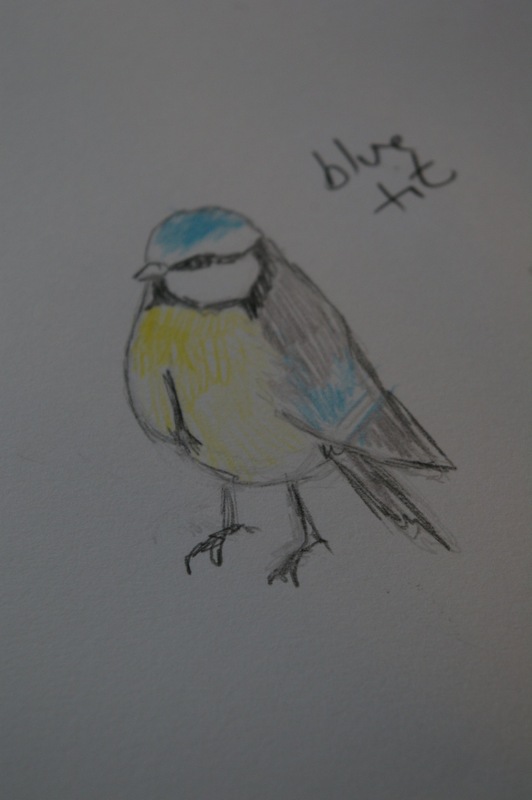 Sometimes I just ‘see’ things in my mind and it is such a joy when they work out as I imagined. 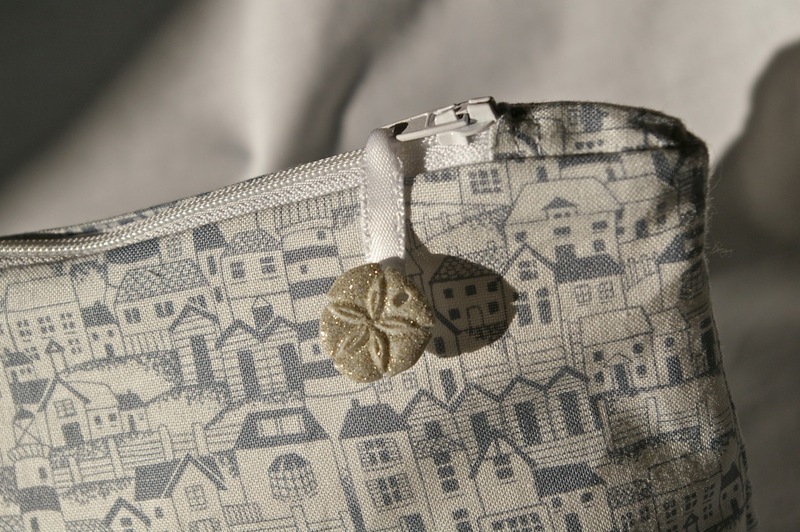 The reverse of the wash bag was just right for a left over Halloween button. 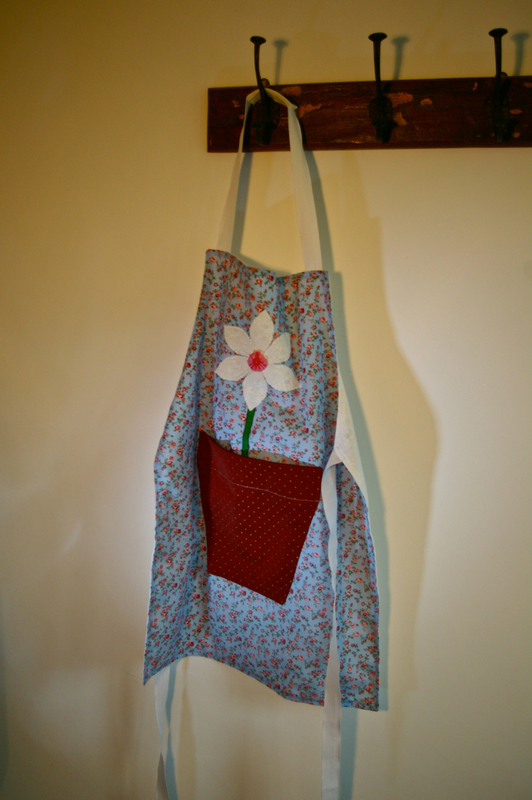 However, all this Christmas sewing is taking it’s toll – and just to make sure the old bah hum bug doesn’t surface from all this festive overload so early in the year, I decided to make a Spring apron, with a big white flower and a flower pot pocket – perfect for any young gardener. 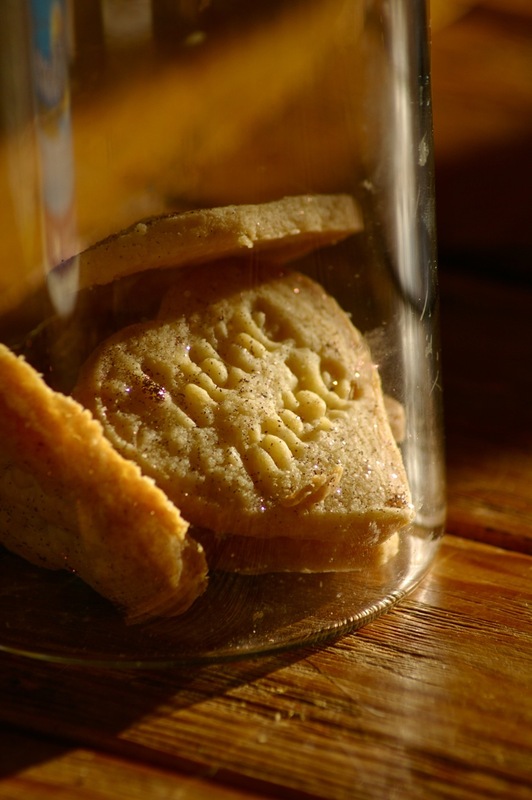 Oh and one last thing…. 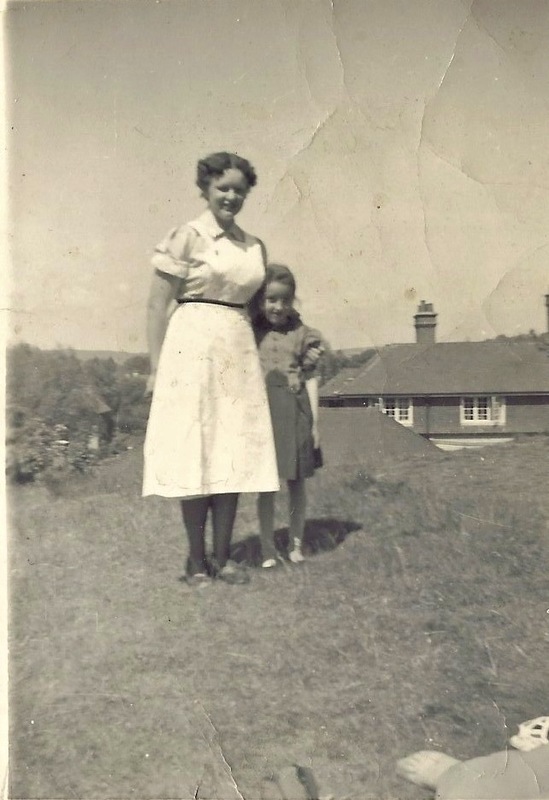 Happy birthday for Monday Mum…see you for lunch on Sunday! 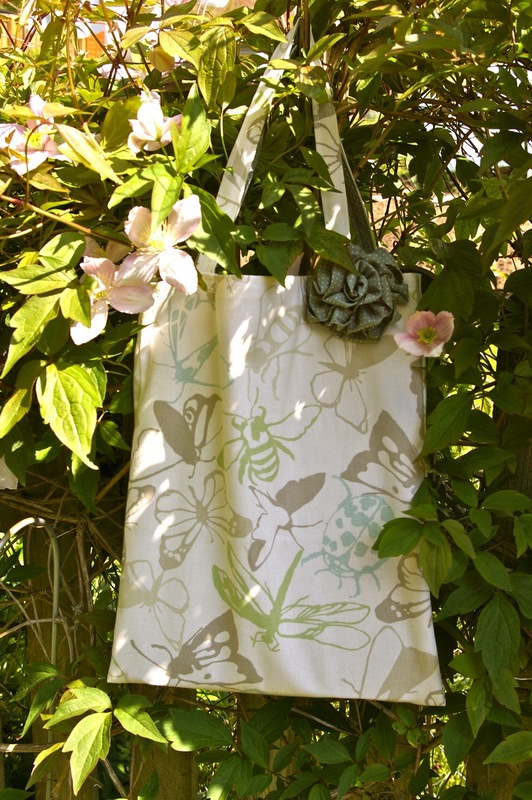 I love bees – do my best to plant my garden to attract them and am forever taking photos of them – so when I saw this bee fabric in Country Threads in Bath I just couldn’t resist. 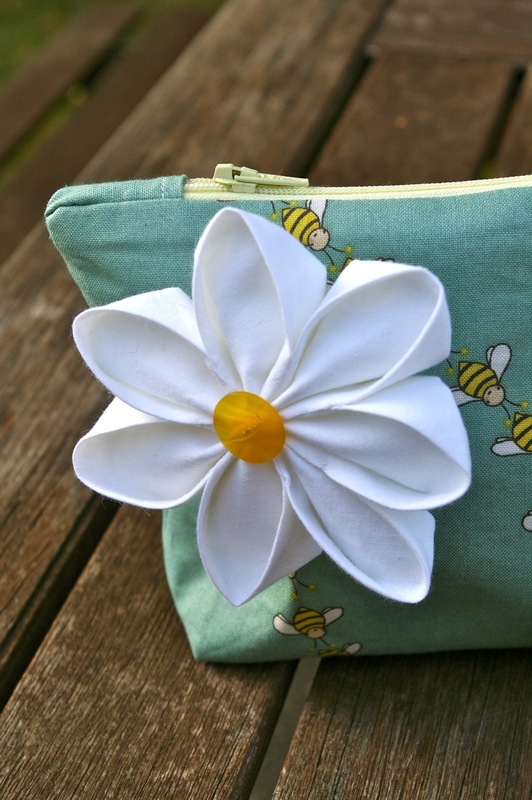 The bag seemed to be calling out for a daisy and I remembered a tutorial I pinned on Pinterest and made my first Kanzashi flower; certainly not my last as they are so much fun to make! 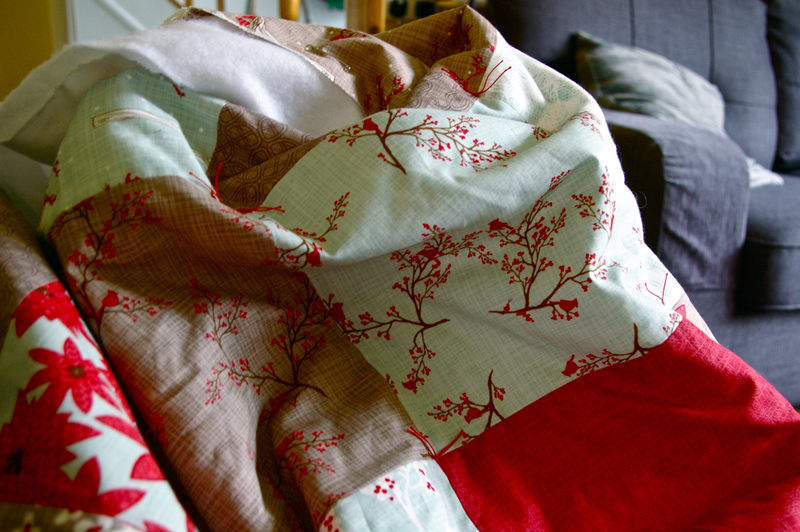 Years back I treated myself to a bundle of seaside fabrics and you know how it is, some fabrics are so pretty it seems a shame to cut in to them, but finally I decided that this one needed to fulfill its destiny. 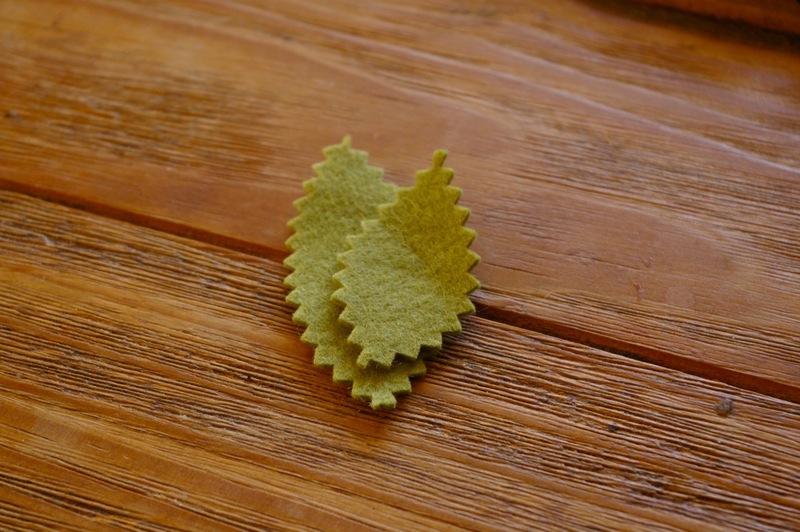 I love it…and have enough to make another one. 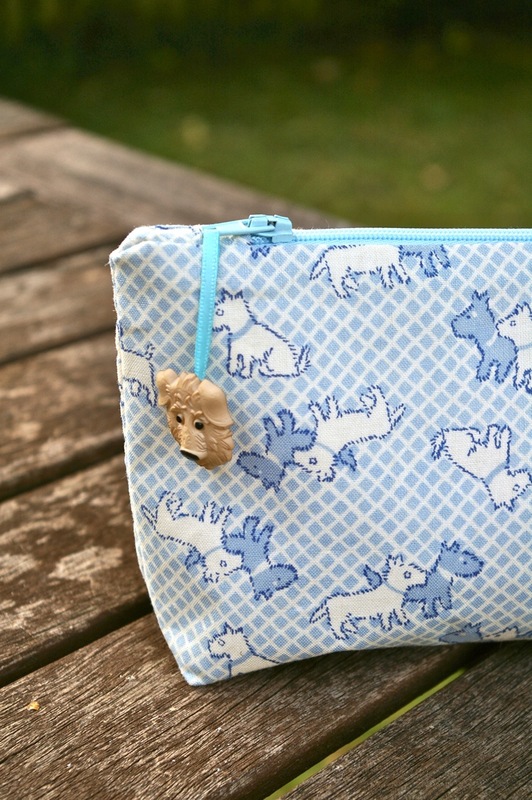 I made a pincushion as a gift with some of this cute Westie fabric but had some left and thought it would make a nice little bag for a dog lover, and was the perfect opportunity to use one of the dog buttons I stumbled across. 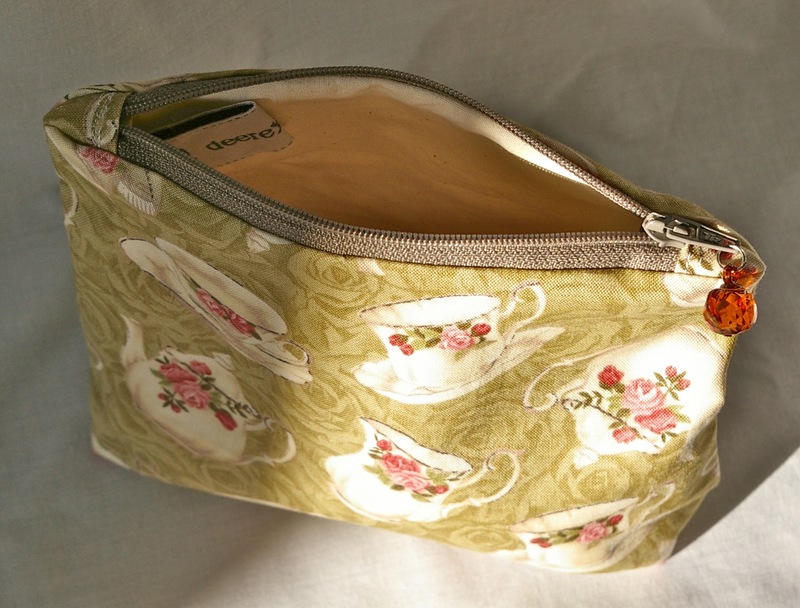 Now the new bags have been added to the shop I had better get on with some more sewing – a contemporary apron and then I need to get out the fabric paints to create a couple of Beauty and the Beast panels…eh Karin? Mark has a day off so I might finish early today and get him to help me pick crab apples – the jams and jelly season is with us, and spiced crab apple jelly is my favourite! 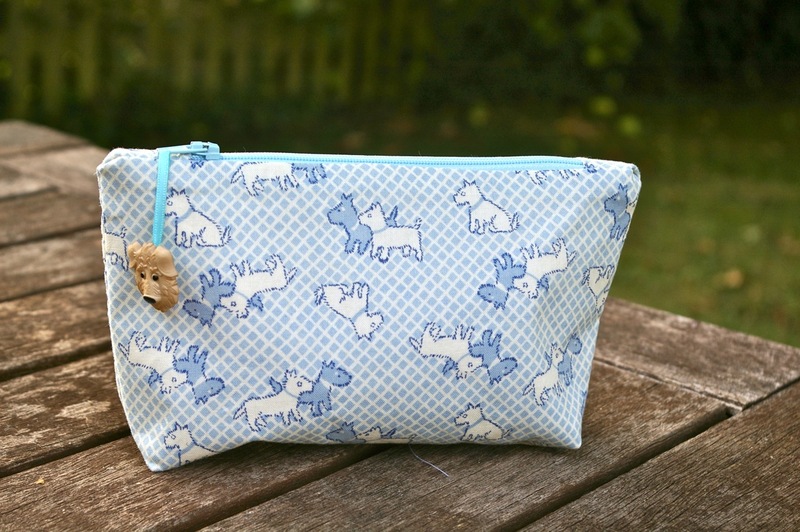 I spent last week working on zipper pouch designs – I now have patterns for pretty much every size of zip, and am getting faster, and what’s more I am starting to get orders…yay! So without further ado, let the bag parade begin! 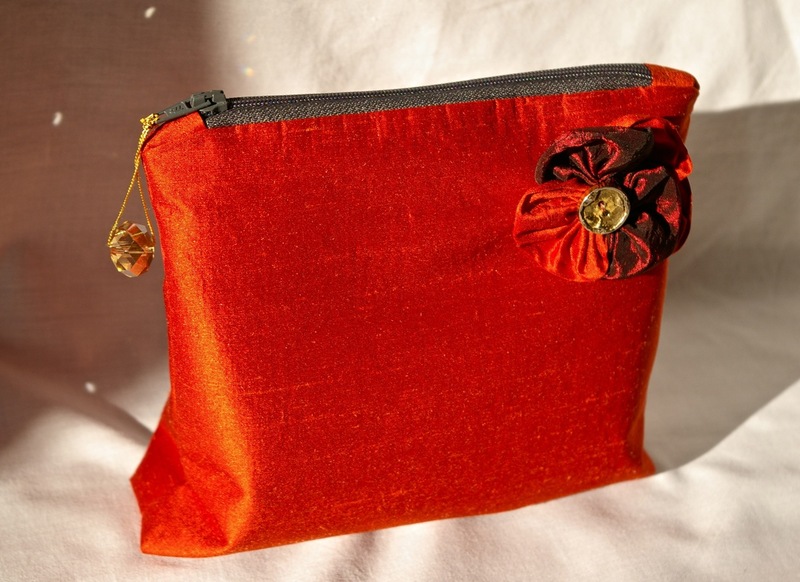 First off let me introduce this burnt orange dupion silk number sporting a silk pansy embellishment and faceted, light-catching zip pull. 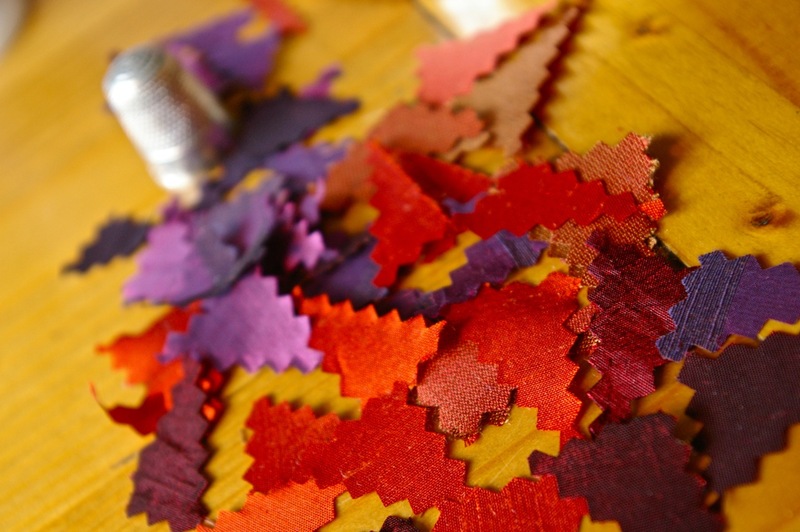 I love this Autumnal colour – and it took some stiff upper lip to cut in to the fabric. 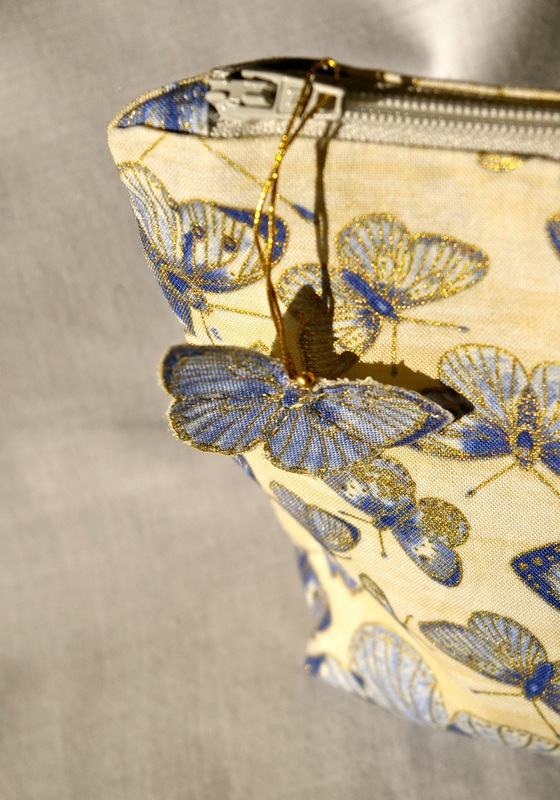 Next, modelling the season’s butterfly theme, we have a pretty little blue and cream number. 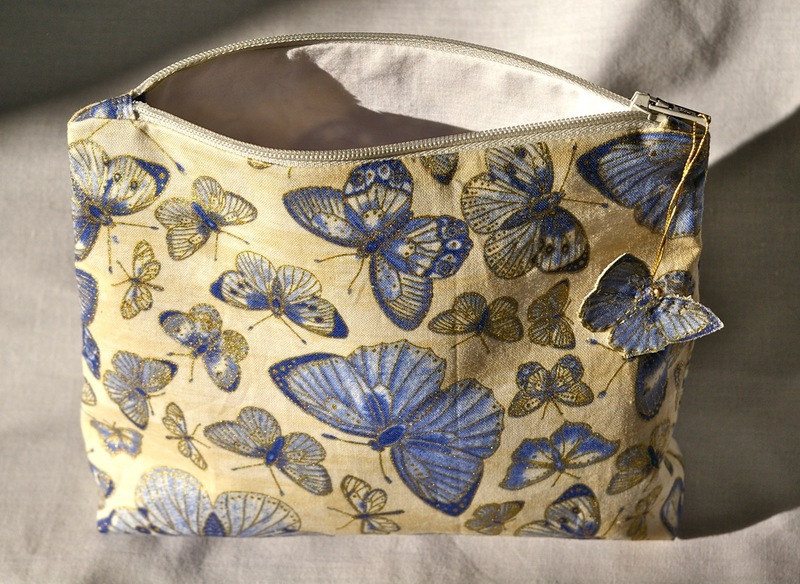 I have a love of all things bugly and couldn’t resist this fabric – all the more so for the glittery gold highlights! 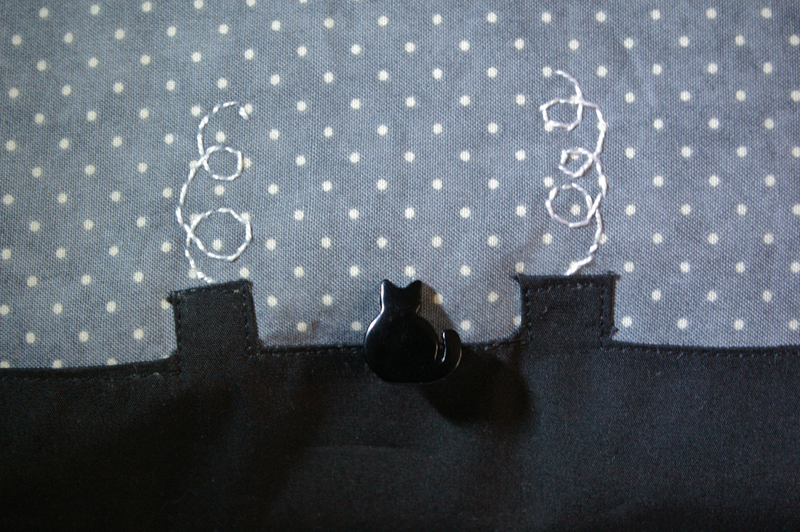 When Irene was visiting she bought me the most lovely teapot earrings (teapots are a big thing in my life), and I set out to source the lovely little teapot charms to use in some of my work and, serendipitously, I still had left some of the teapot/teacup fabric I once used to make a lavender heart for Irene, so the fabric and charm came together to make an afternoon tea bag! 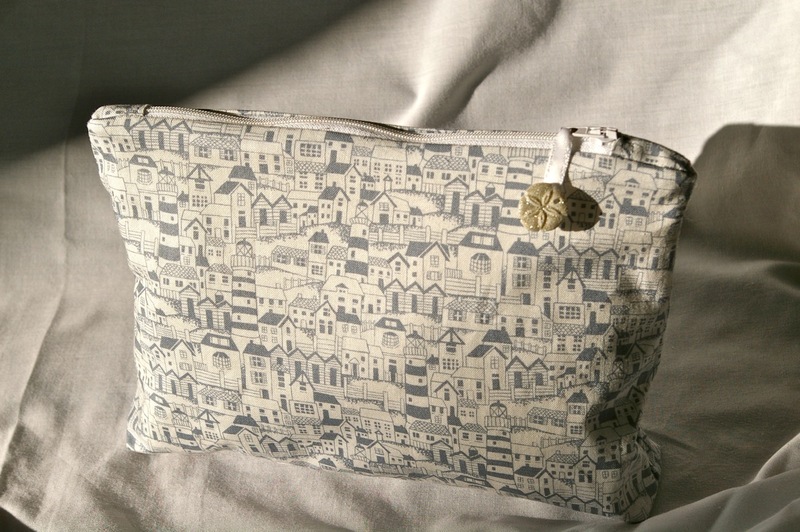 It was my sister’s birthday yesterday and I wanted to make her something special, so used some lovely coastal village print cotton in grey and white and made a larger zipper pouch bag, with wadding rather than interfacing, to give it a cuddly quality. 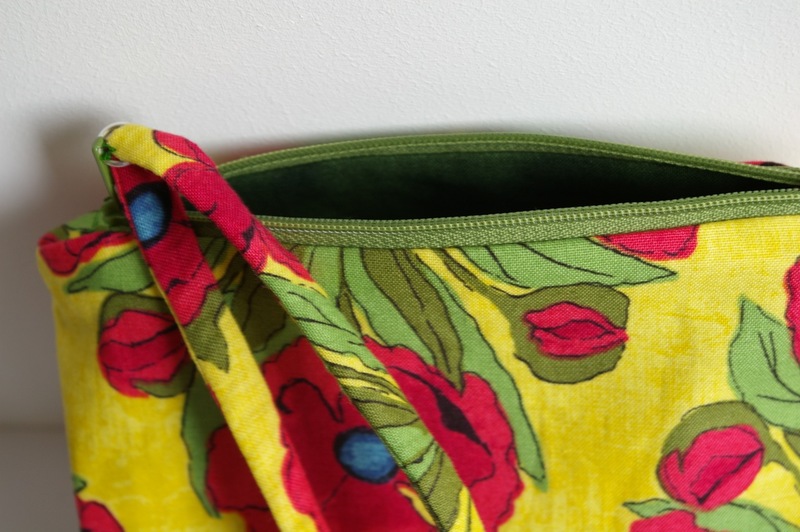 Rather stupidly I forgot to take a photo of the soft shopper tote I made from a mixture of this fabric and a grey/blue tartan (lined with part of my sister’s old duvet cover actually – I like to recycle fabric where I can), which I folded up and put inside the zipper bag. 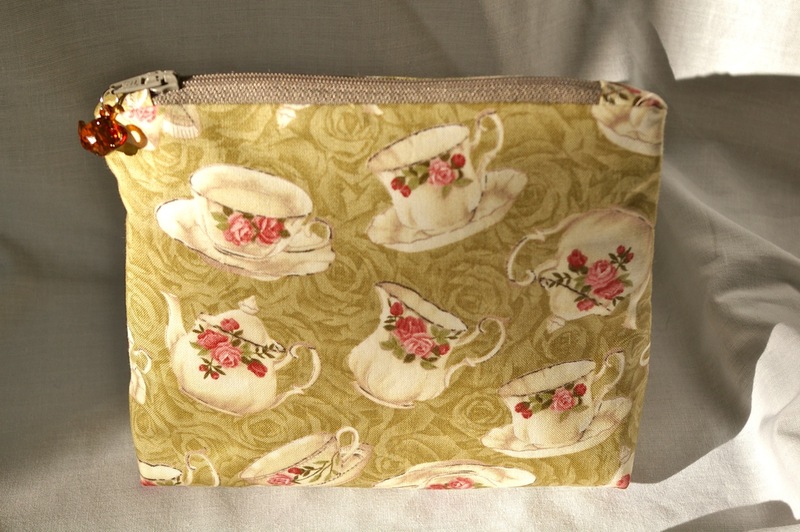 I spotted this frame for a small coin purse at Sew n Sew at the Bath Guildhall Market and decided to give it a go. I was a little disappointed that the ‘pattern’ that came with the frame was a line 8.5cm long with instructions to add whatever you want below it…gee thanks!…but it didn’t turn out too badly. A little froufrou for my taste, but enough fun for me to seek out sleeker, square frames on eBay to try some more. 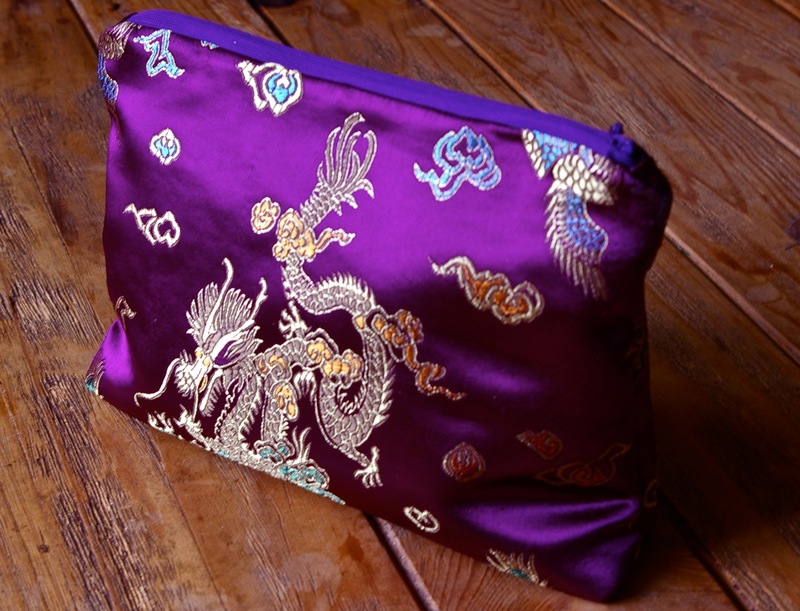 Friends and family are great at donating odds and ends of fabric they find hidden in their lofts and cupboards, and this lovely oriental style fabric, despite fraying like mad, worked beautifully for bag making. 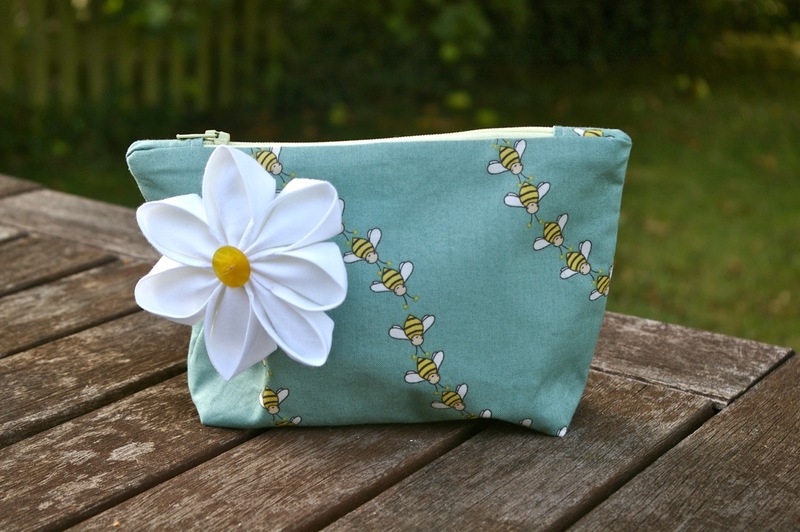 I am going to make some envelope clutch bags with it too. 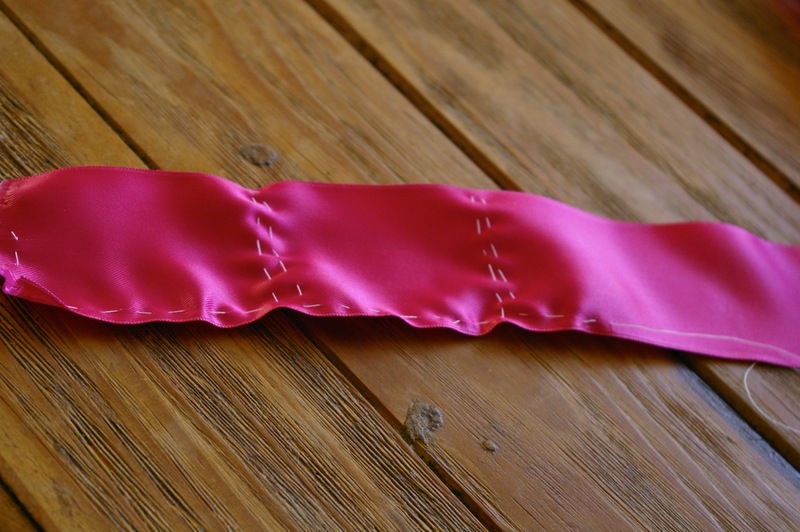 Now my corners are sharp and my bottoms are flat and my zips are a joy to insert, I want to unleash my imagination. When I went on a small business finance course at City of Bath College (highly recommend it if you are local), we were asked what our USP (unique selling point) is. The group laughed when I said it was that I am untrained, but I explained that it means I am also untethered. If you know exactly how something should be done, I think it is quite difficult to give your imagination free rein. Of course it means a bright idea can take quite a bit of working out and practice, but hopefully the result will be uniquely quirky. 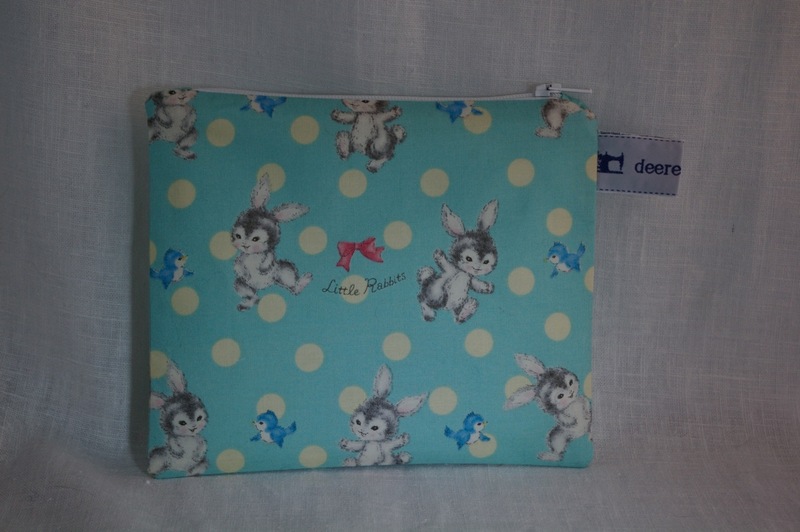 So now I have the basics sorted, I want to try some more adventurous bags…I have an image in my head of a cloud bag with raindrop fringing, and a double-decker London bus bag, and a dragon, and fish, and….oh the possibilities are endless! 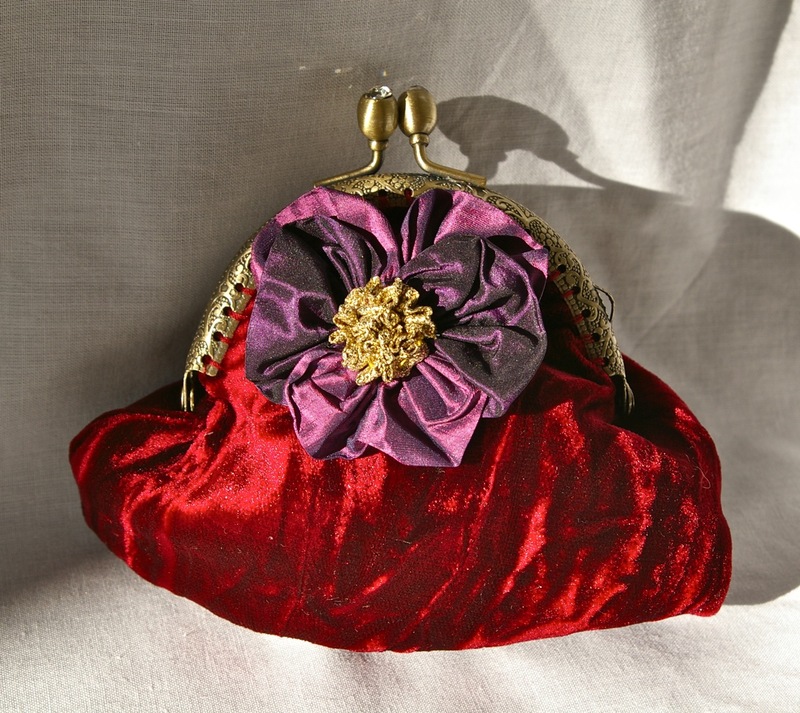 Of course woman cannot live on bags alone, and there have been other creations in the week. 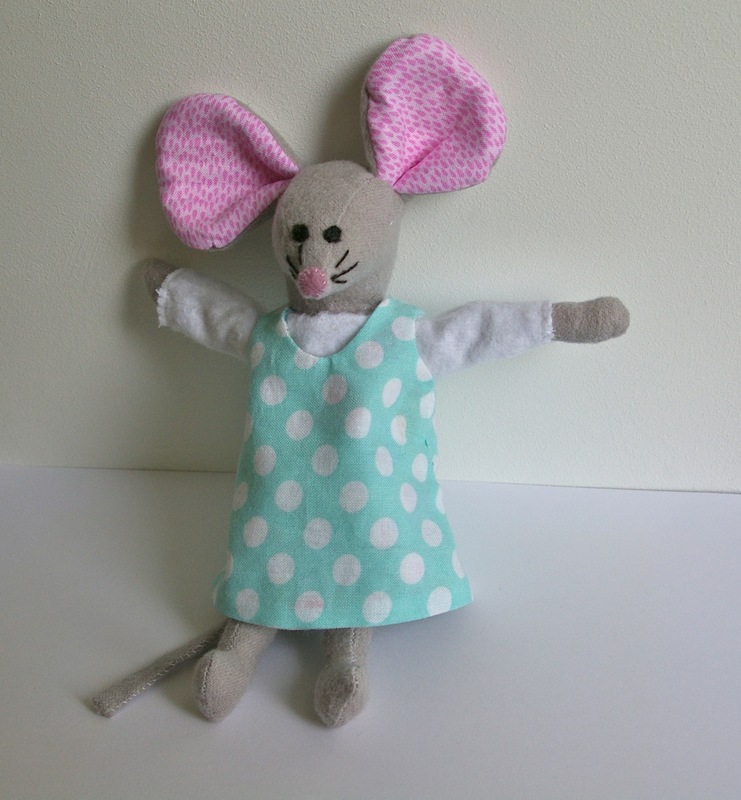 Ellen Mouse, fully CE marked, is now in my shop – modelling a white brushed cotton top and reversible pinafore. 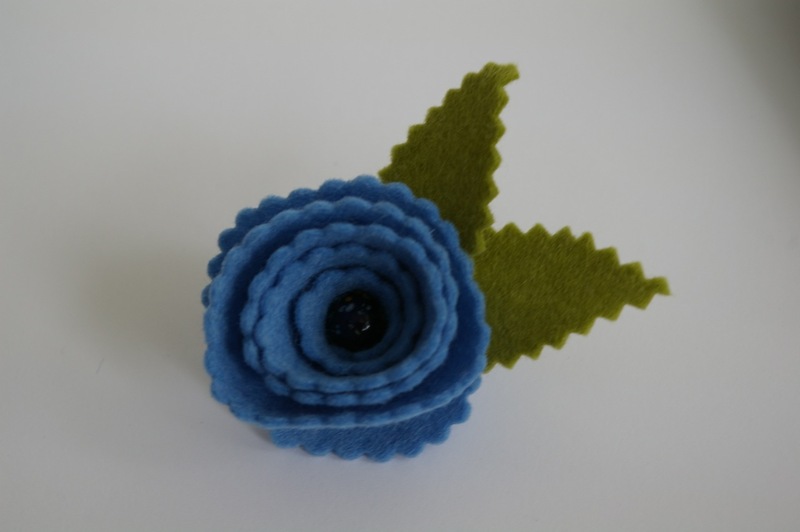 A scalloped edge blue felt rose brooch with gold-speckled blue bead centre…for blue days. 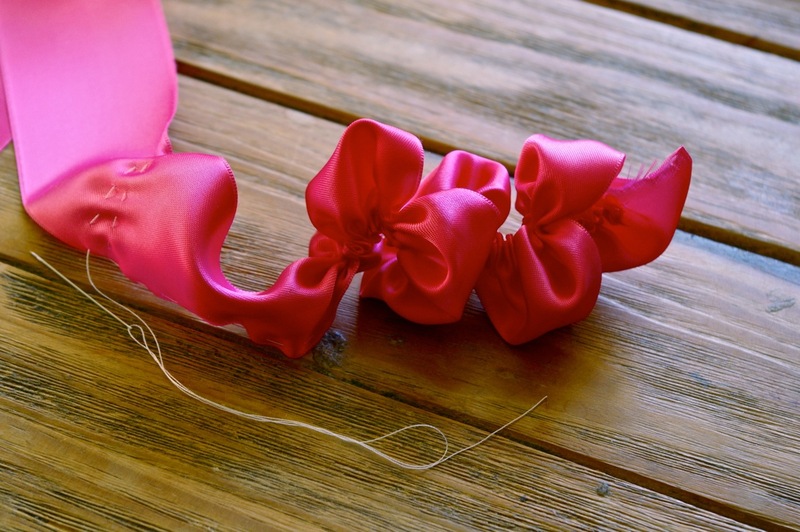 I love my scalloped edge pinking shears! 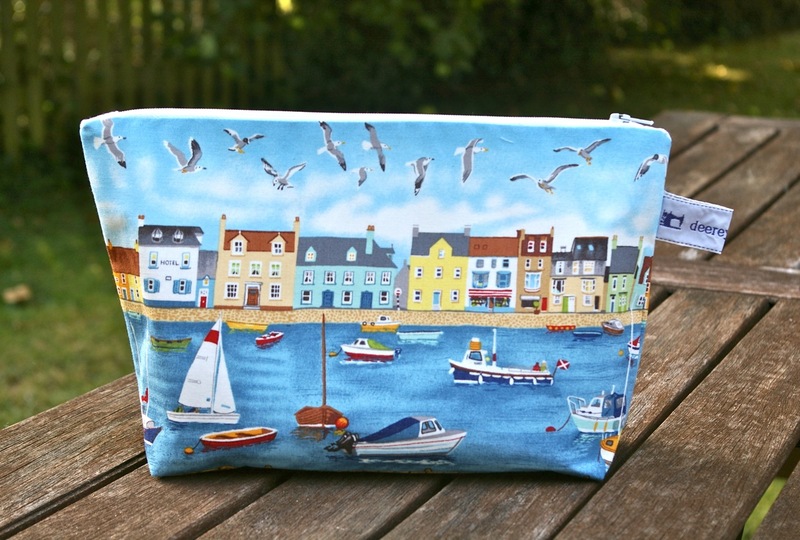 And finally, inspired by talented Rebecca Bourne, I decided to make my sister’s birthday card, to match the coastal village fabric I used for her bag. 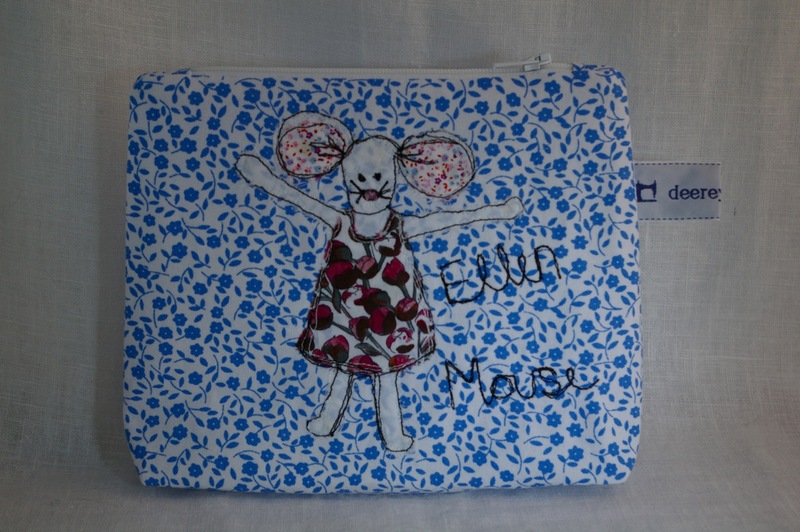 For a first attempt at sewing pictures in a non-applique sort of way, I was quite chuffed. 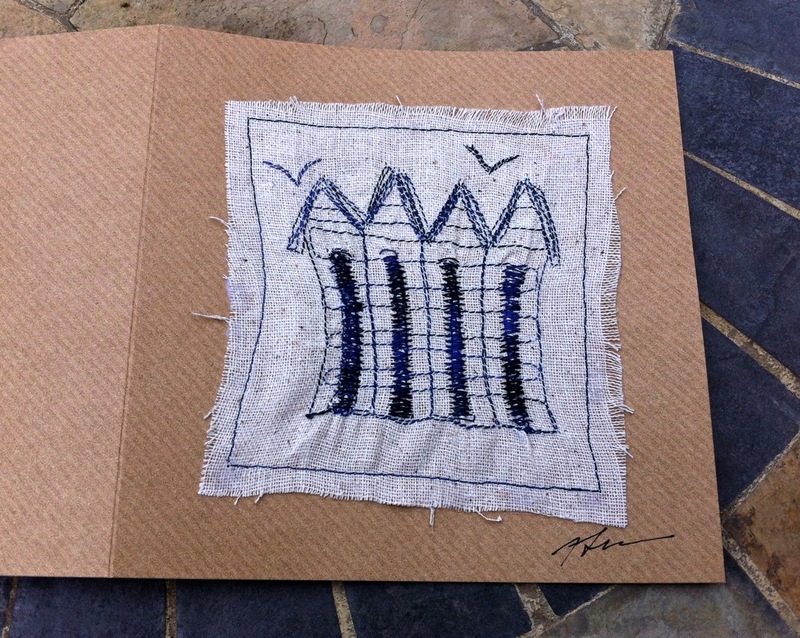 Mind you, they aren’t kidding when they suggest using an embroidery hoop when free motion sewing – I do like the non-square cartoon-like quality of the beach huts, but not the little gathers in the fabric. Next time I will use the hoop, after all it’s not like I don’t have half a dozen of them sitting on my shelves already! 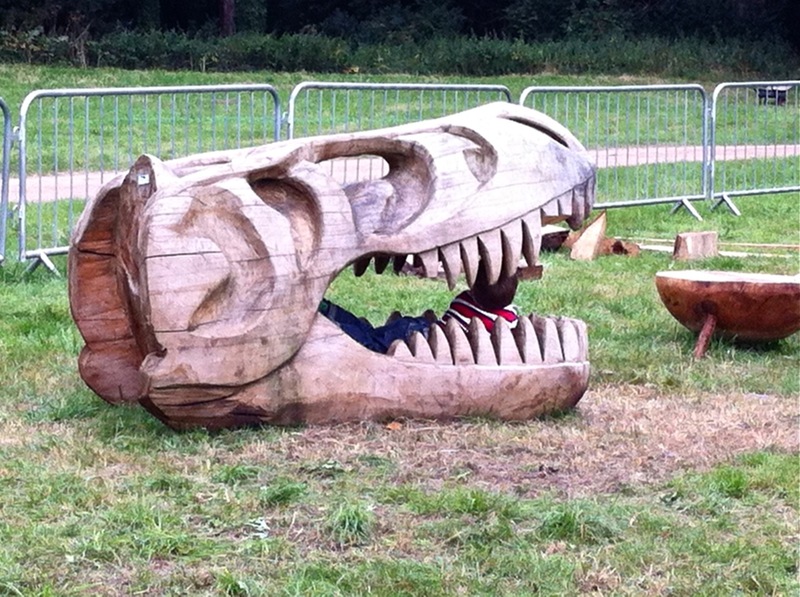 Of course all work and no play makes Sue a dull girl, so Mark and I had an outing yesterday to Westonbirt Arboretum’s tree fest. 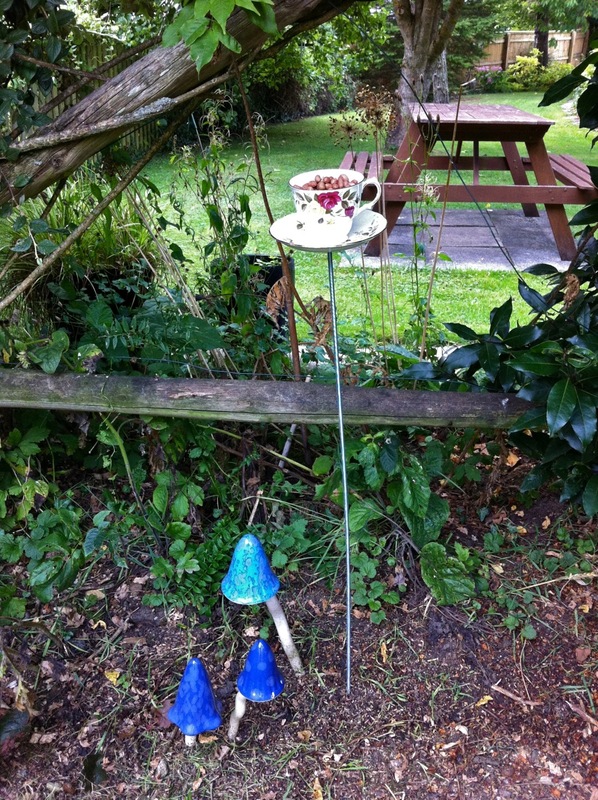 We resisted the swing seats and hand-carved mirrors and tables with tree root legs and the little wooden house, but – again with Irene in mind – Mark bought me a tea cup birdfeeder (and a trug so I can be a proper gardener). 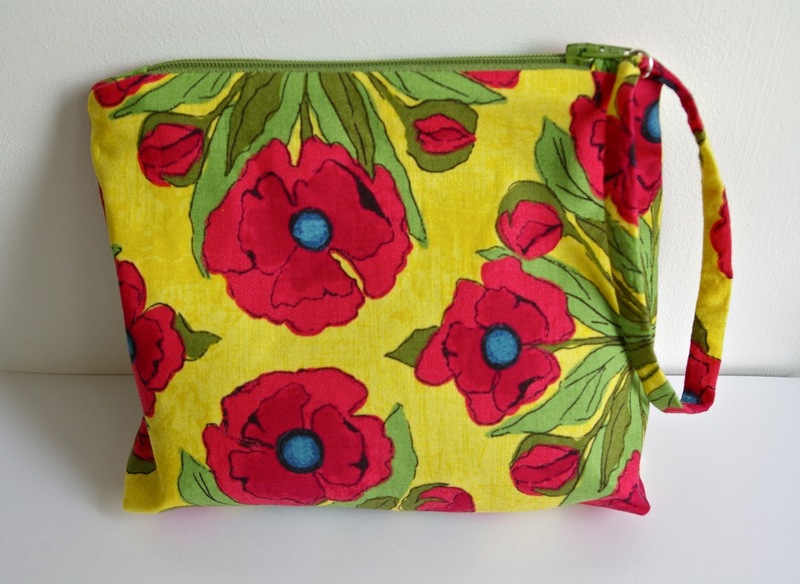 I love oriental poppies – the garden is full of them in shades of red and pink – and was quite chuffed when making a rose from the waistband of an unwanted sweater, I…well…screwed up…and discovered how to make a poppy. 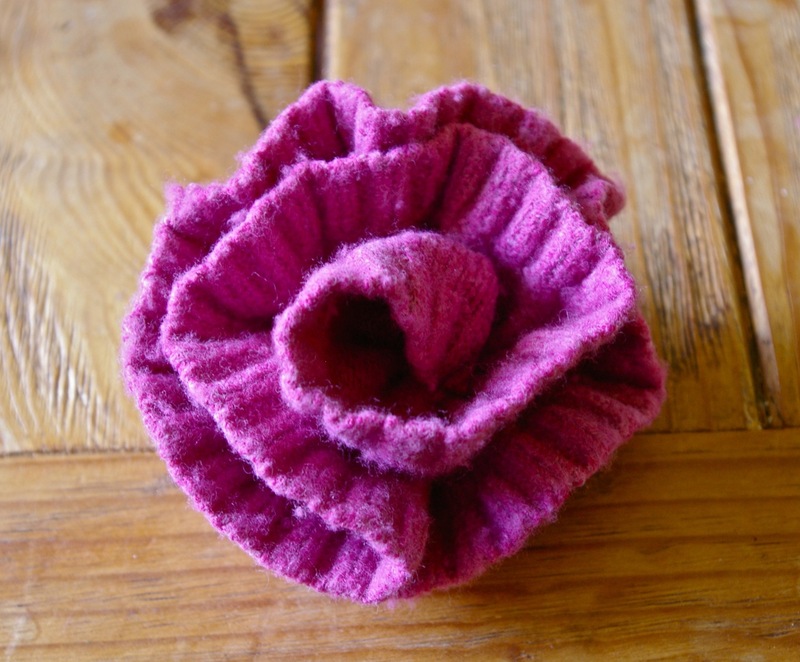 To make the rose (another idea from Elizabeth Helen Searle’s ‘fun to wear fabric flowers’) you take an old sweater – ask permission first if it’s not yours! 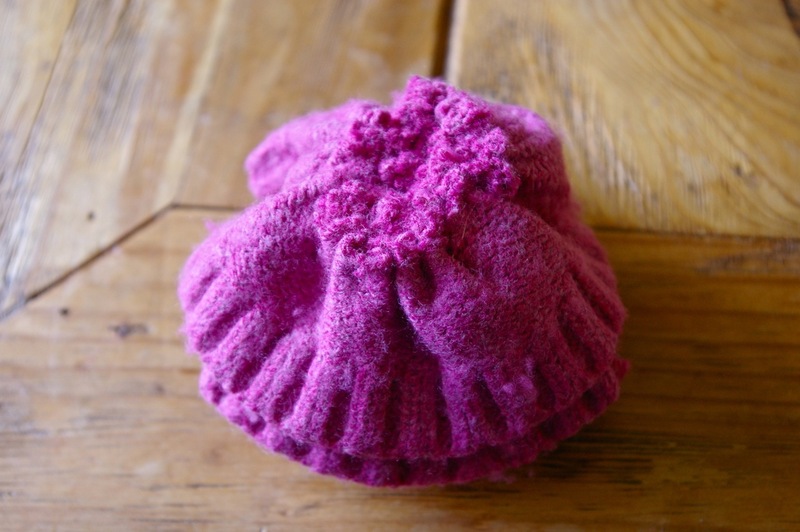 – and boil wash it then tumble dry on a high heat. 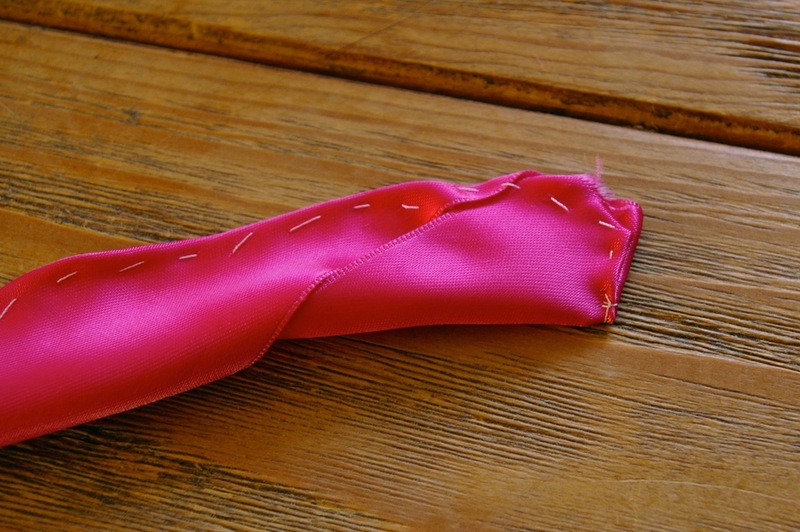 Cut off the waistband, cut each end in to a curve and then gather it up, roll it up and put through a few stitches to hold it in place. 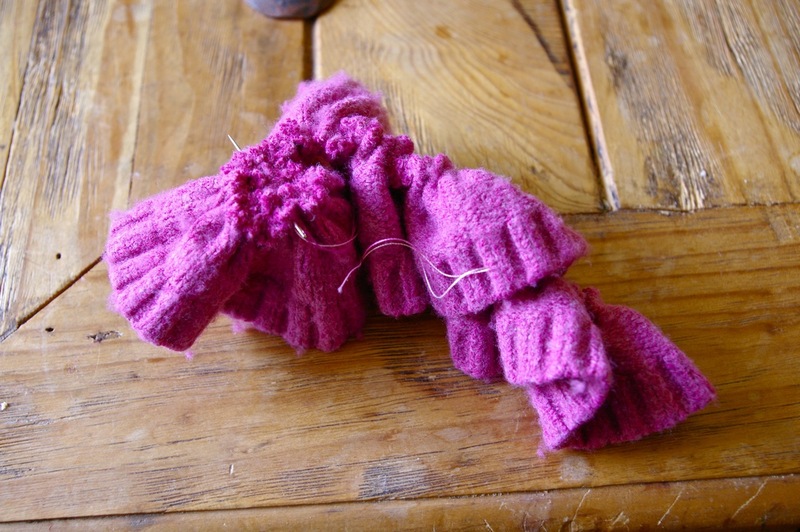 However, one time when making one the waist band was a little narrow, so I included a bit of the body of the sweater, which made the flower looser and more open. 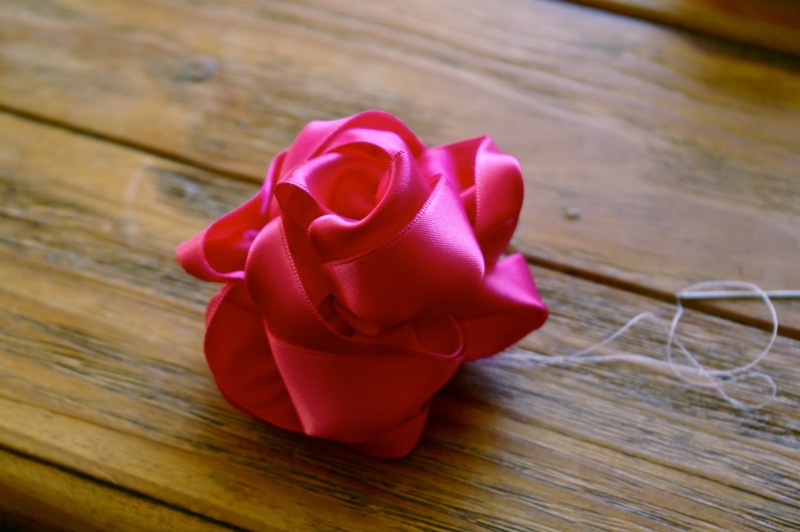 I then also lost concentration (watching Master and Commander on DVD…I do find Russell Crowe in breeches somewhat distracting) and instead of rolling the gathered waitst band up in the same direction, I accidentally turned it back on itself…and voila my rose was suddenly a poppy! 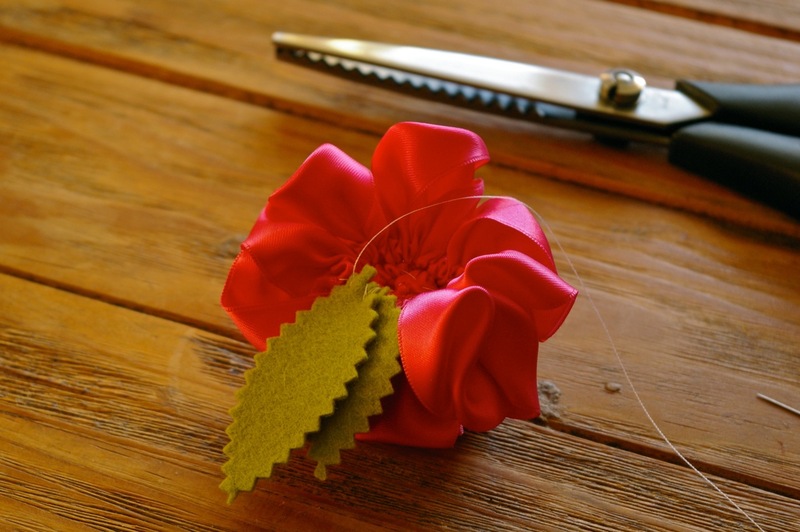 I added a black button centre and now make poppies more than I make roses. 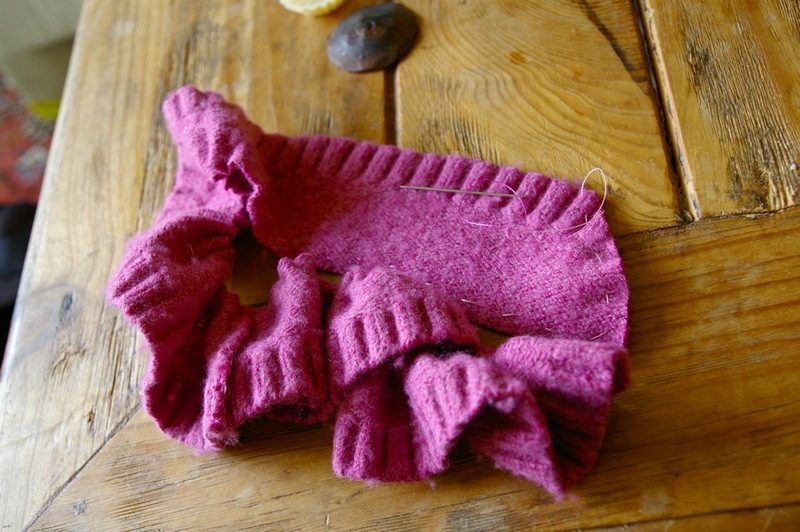 1. cut the waistband, including a small strip of the body, off a boil-washed sweater. 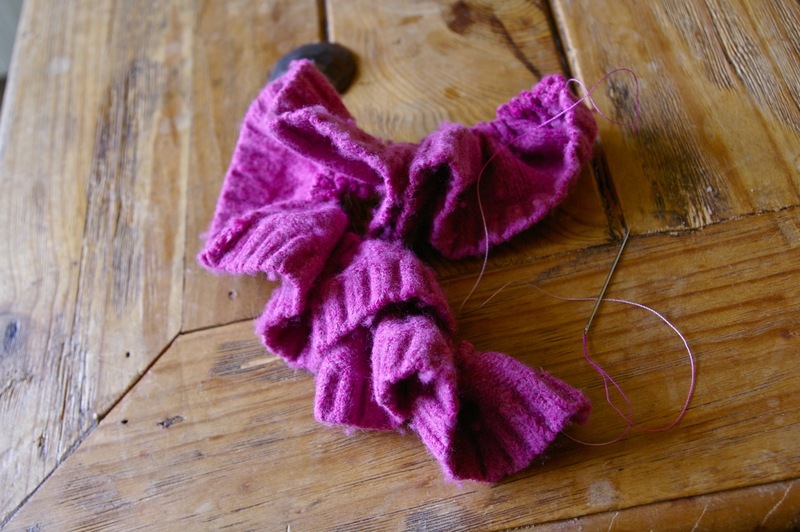 2. round off both ends of the strip of sweater and sew a loose running stitch from the top of one curved end to the top of the other curved end. 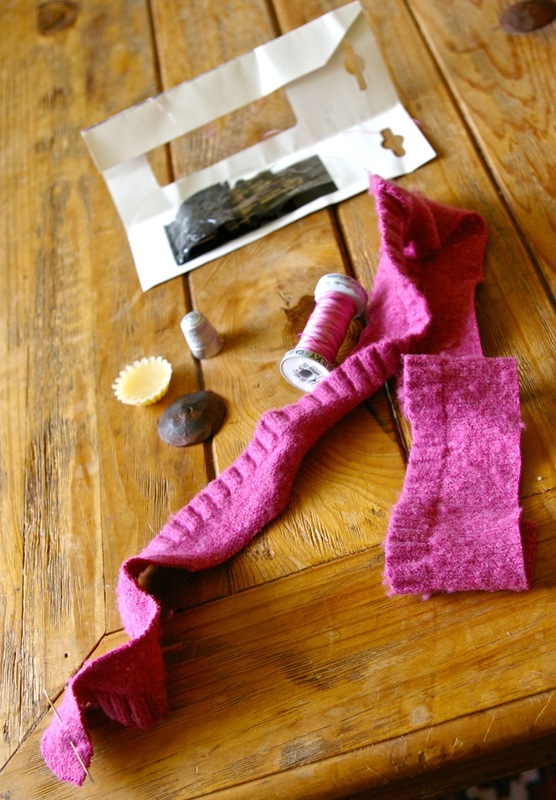 3. gather the strip as tightly as you can and fasten the end. 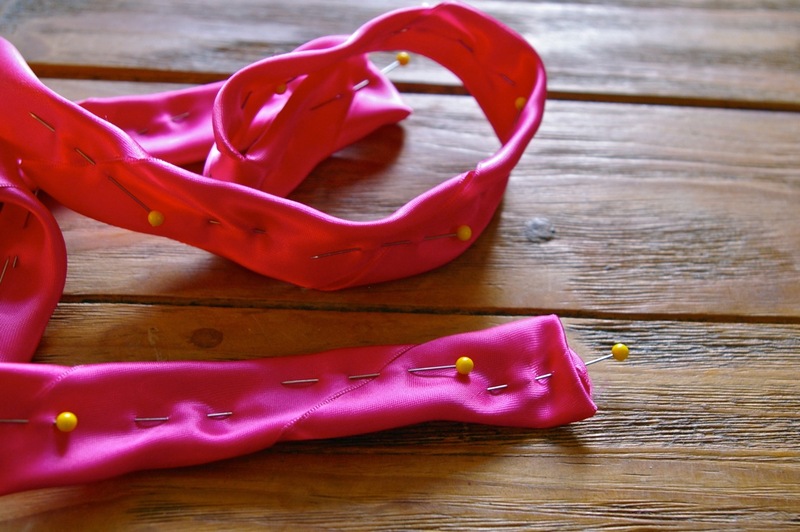 4. roll up the gathered waist band, stitching it in place as you go (a good long needle helps). 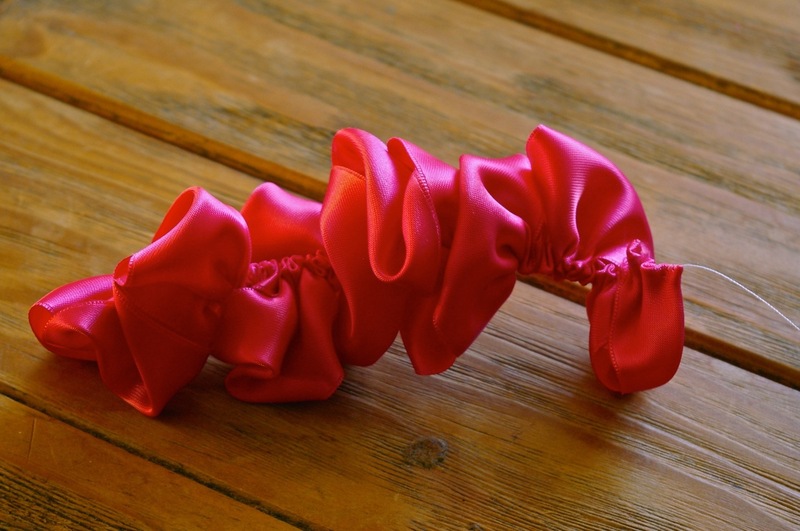 While rolling it up change direction at least once (depending on length of waist band – two or three times is better). 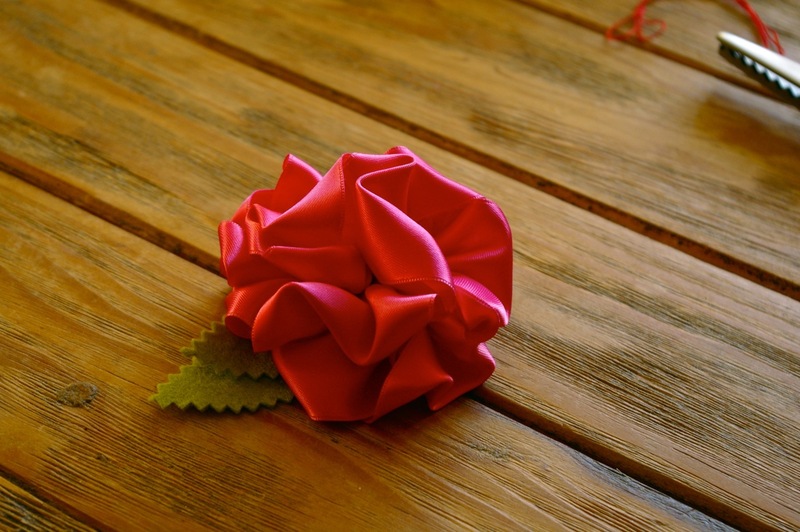 5. as with most fabric flowers made by rolling up, try to keep the base flat and level, allowing the petal side to be uneven. 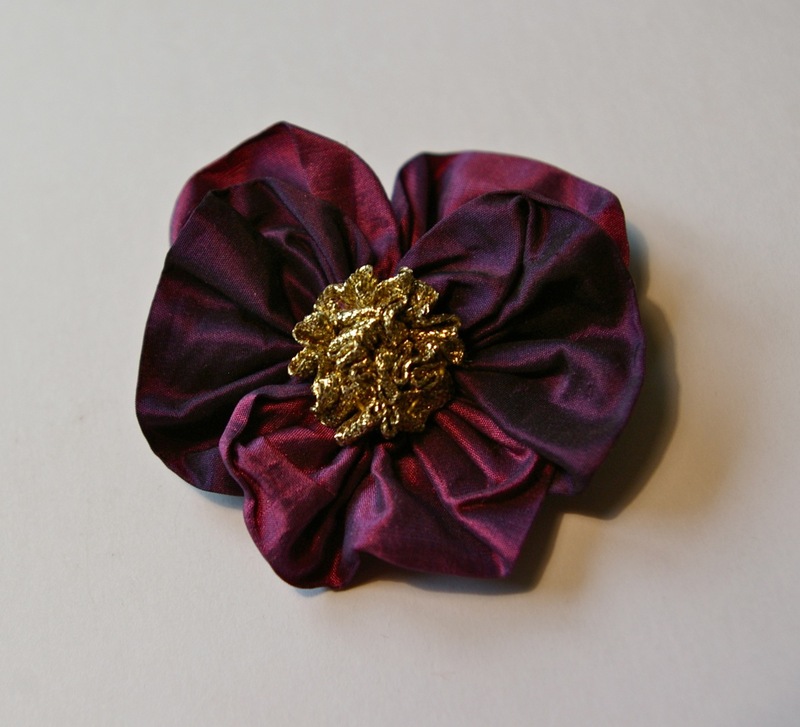 It can be sewn directly on to a bag or garment or you can use a circle of felt or faux suede as a base and attach a brooch back or hair clip. 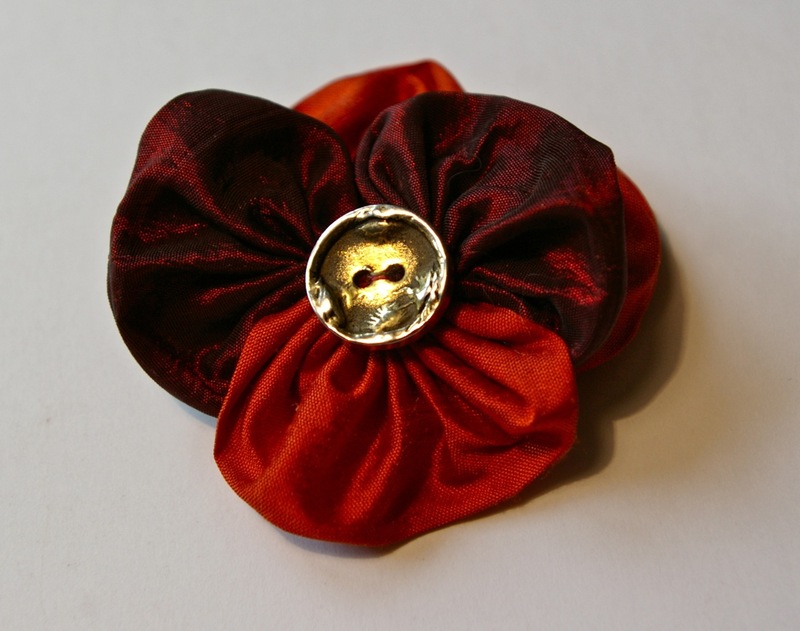 7. if you like, complete the poppy effect with a large black button. 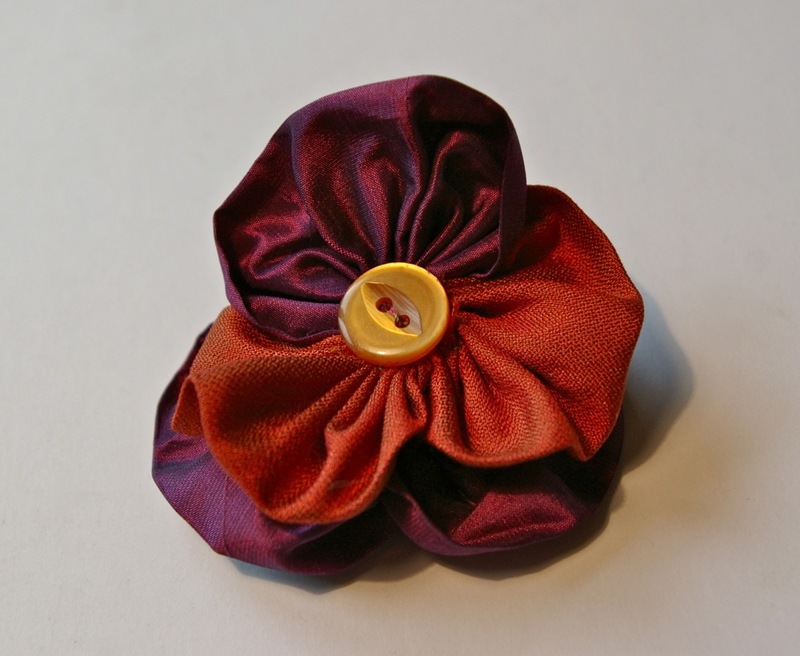 On a roll with the polka dot rose, I thought I would try Elizabeth Helene Searle‘s pansies in some silk off-cuts my godmother picked up from the silk mill at Whitchurch. 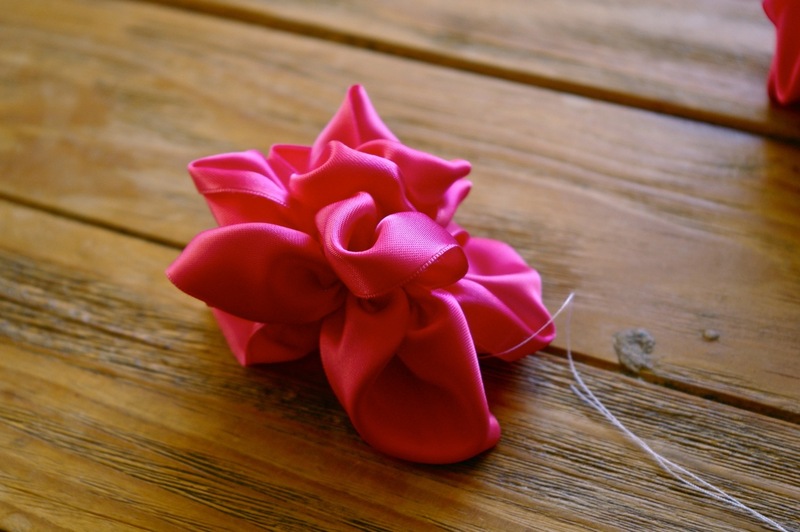 Just like recipes, I never can be told what to do and add some of my own touches, but the basic idea came from ‘fun to wear fabric flowers’. 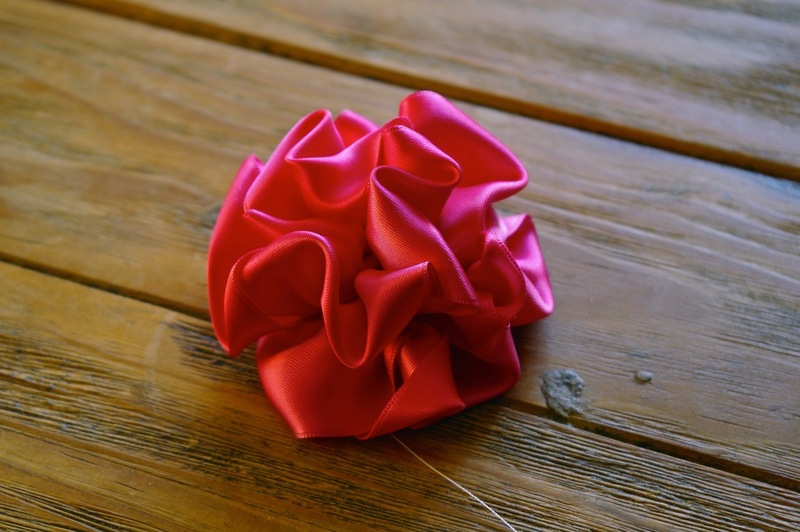 The little pieces of silk corners left over from the flowers looked so pretty, I just had to take a photo (and I couldn’t bring myself to throw them out, although I have no idea how I will use them!). 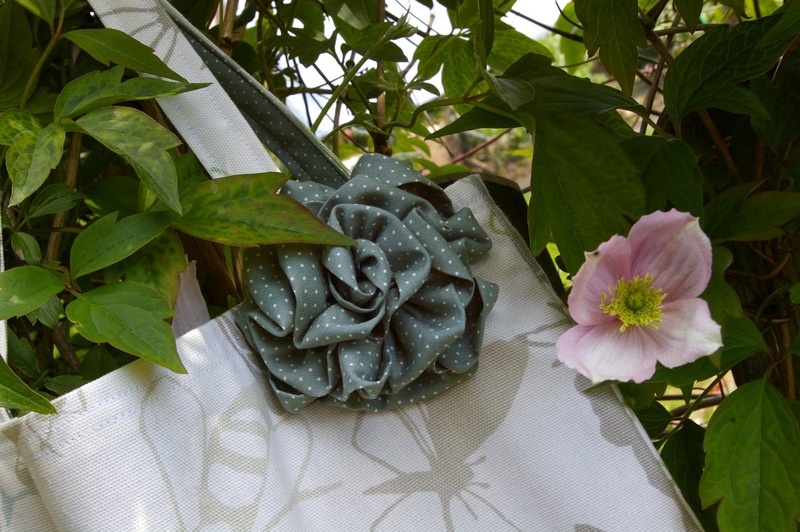 I had some left over fabric from our bedroom curtains and thought it would make a nice book bag, using some lovely polka dot cotton fabric to line it and to make a flouncy fabric rose. 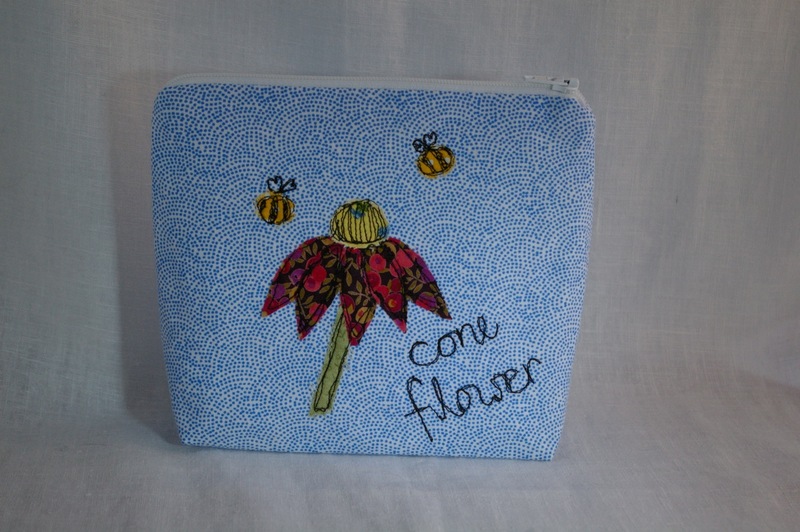 I am rather addicted to fabric flowers at the moment and keep trying new designs.